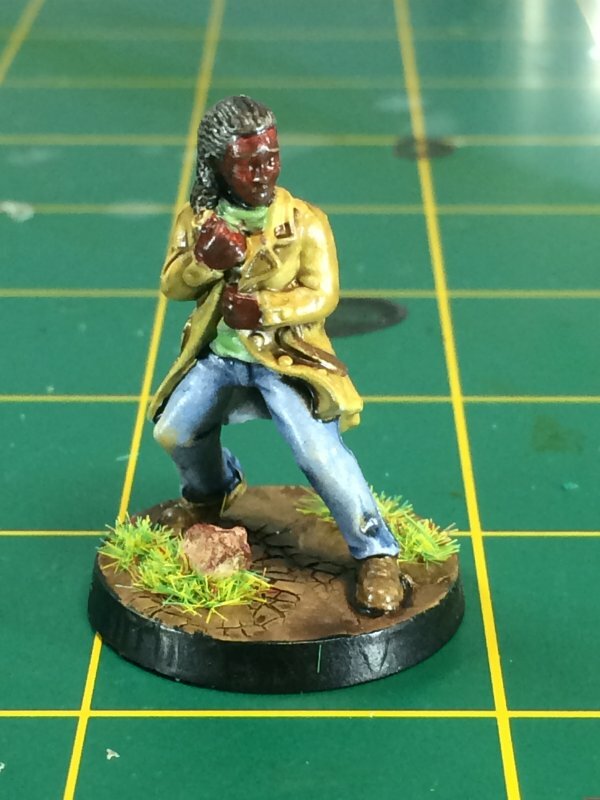 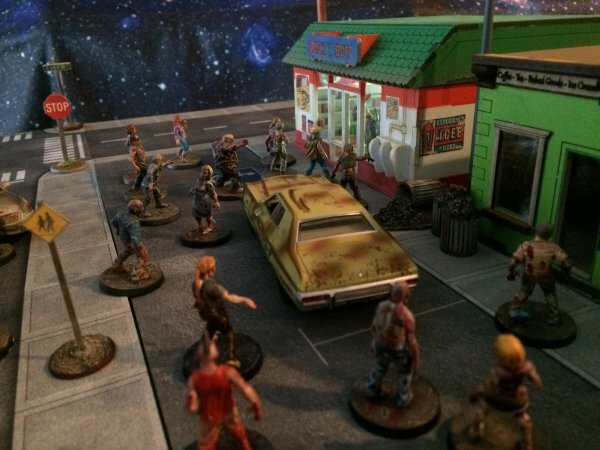 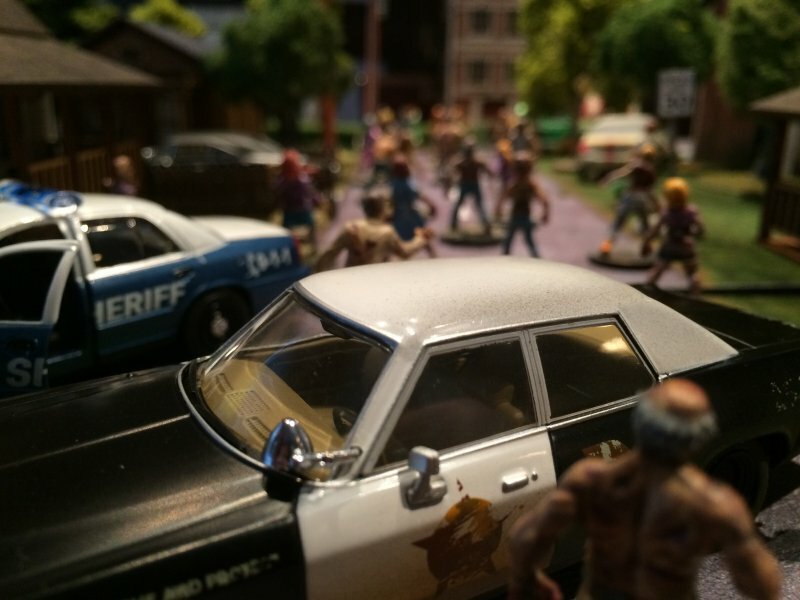 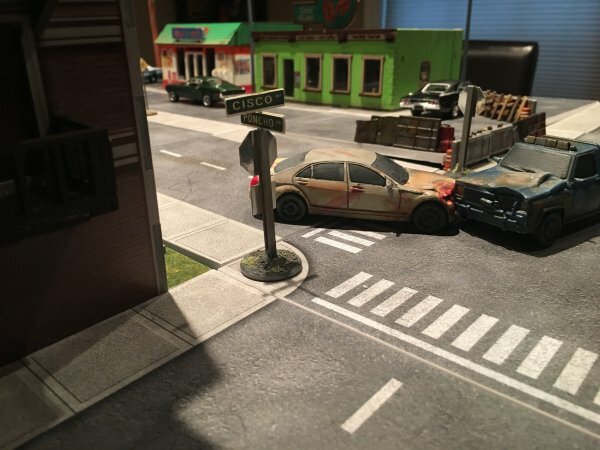 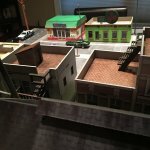 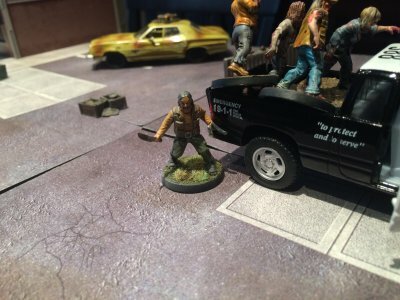 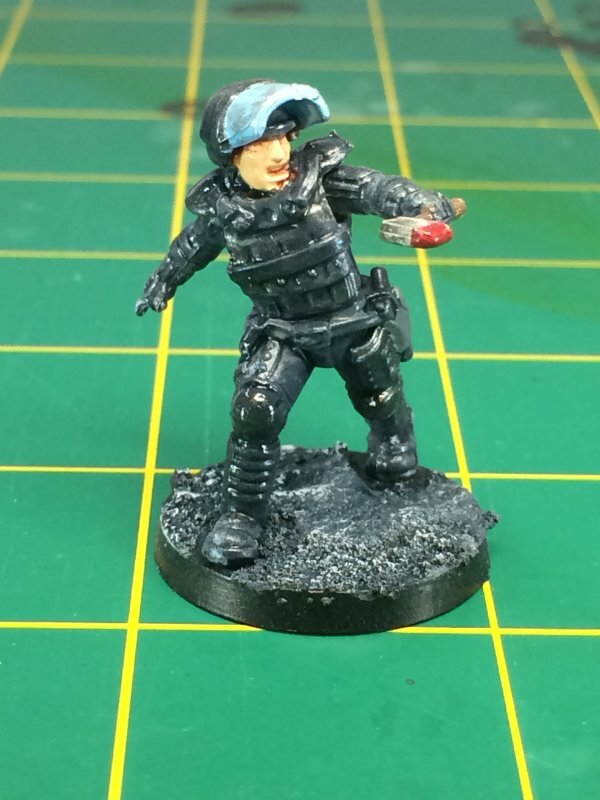 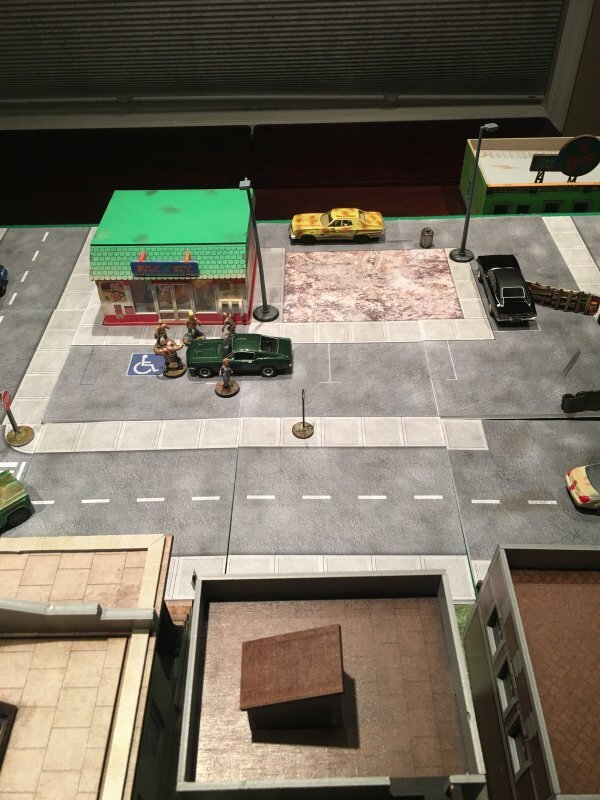 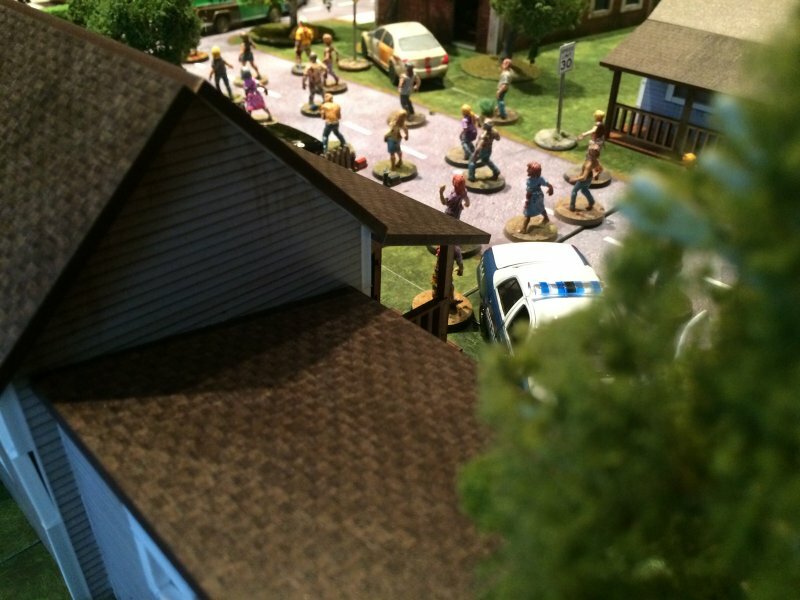 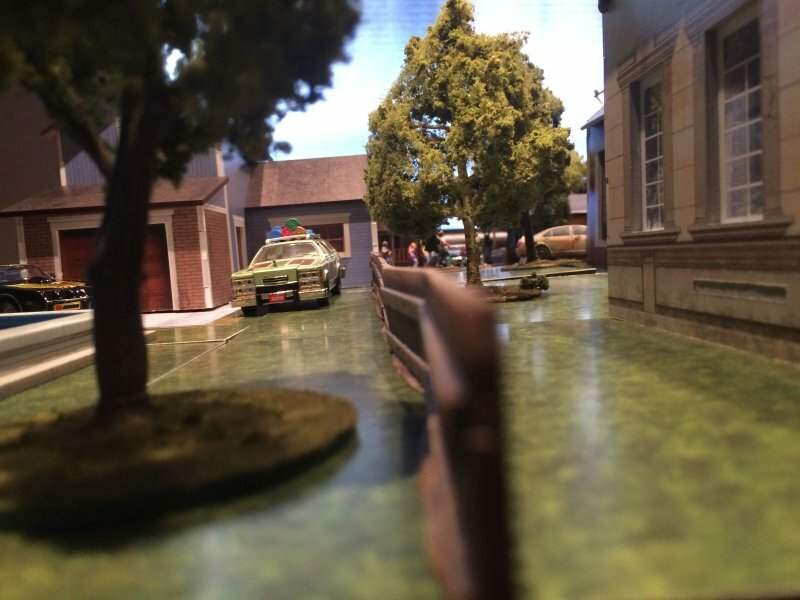 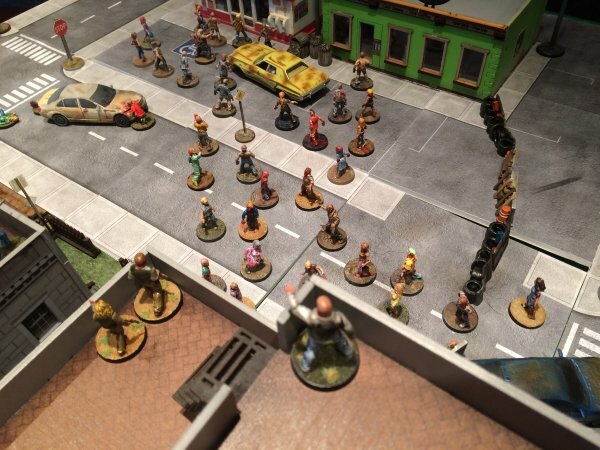 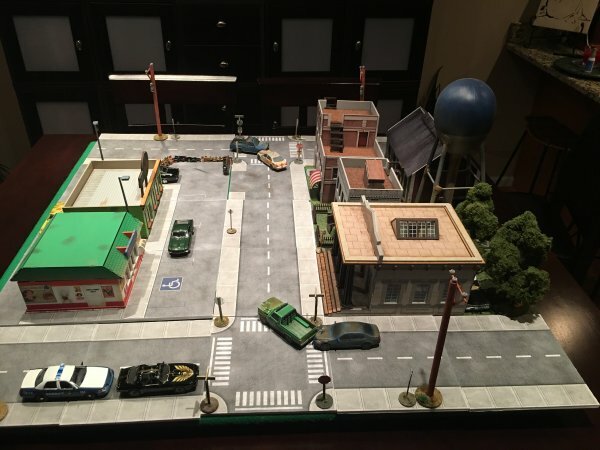 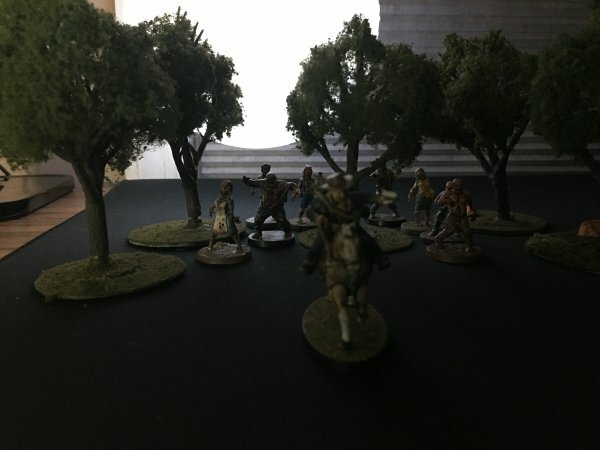 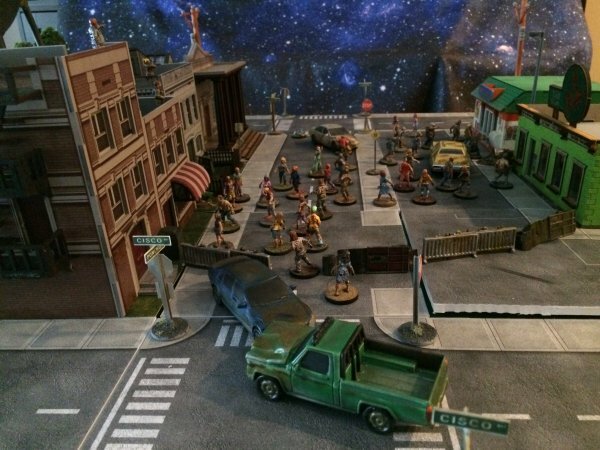 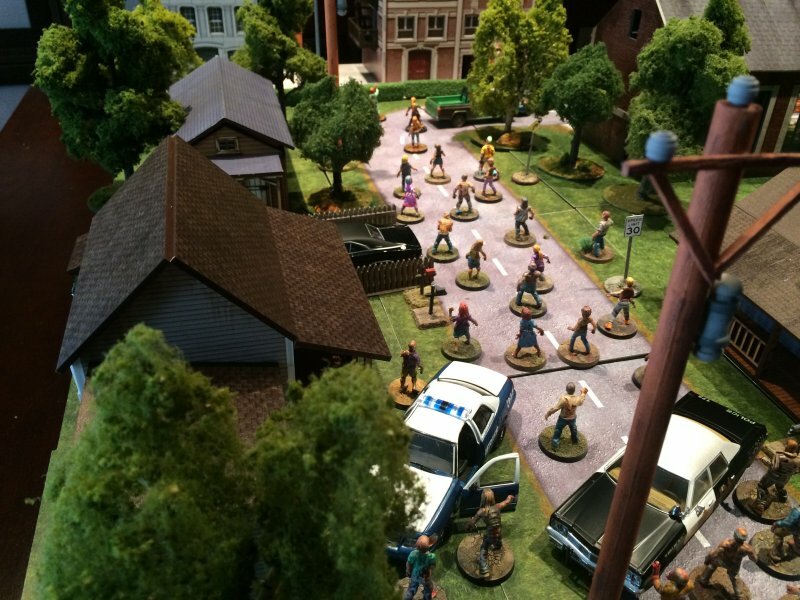 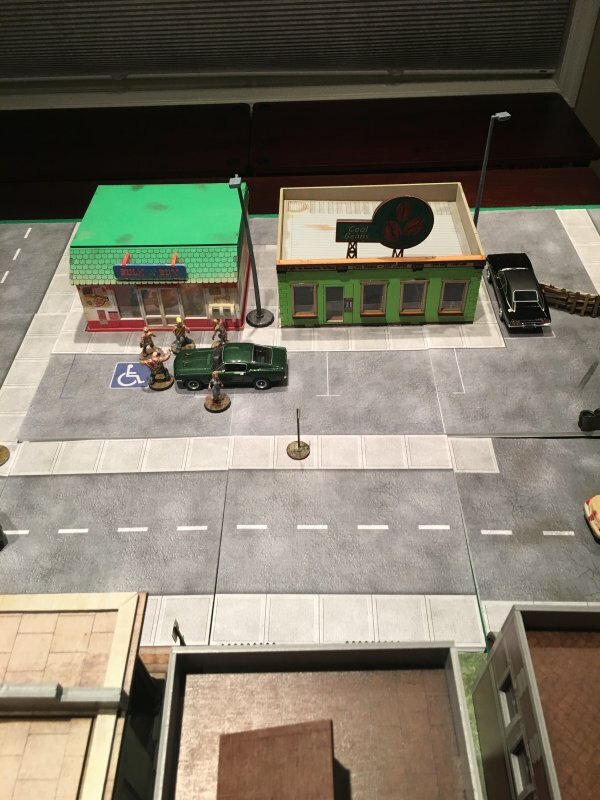 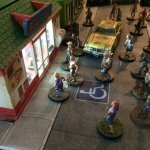 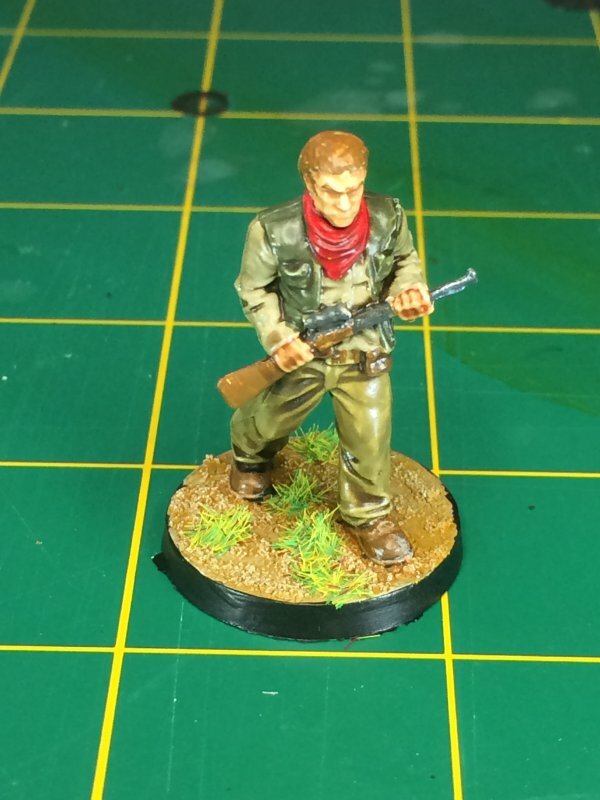 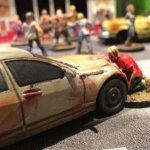 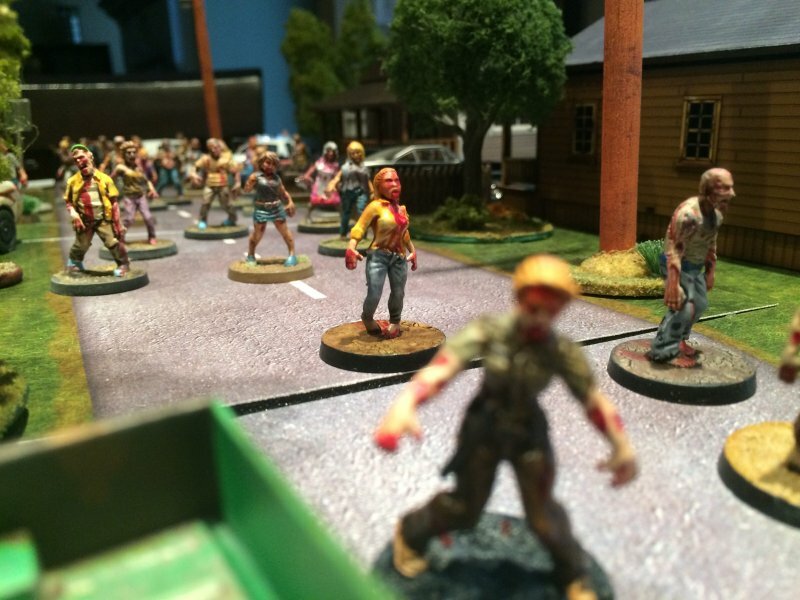 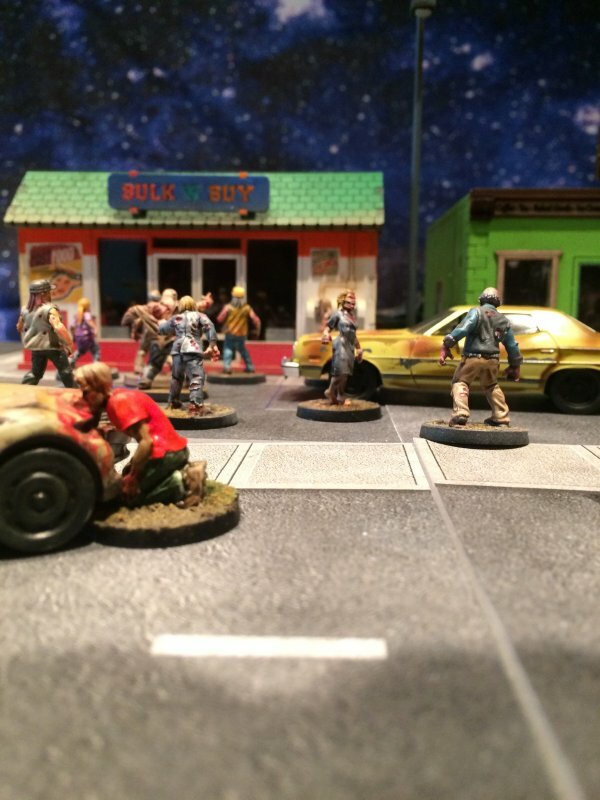 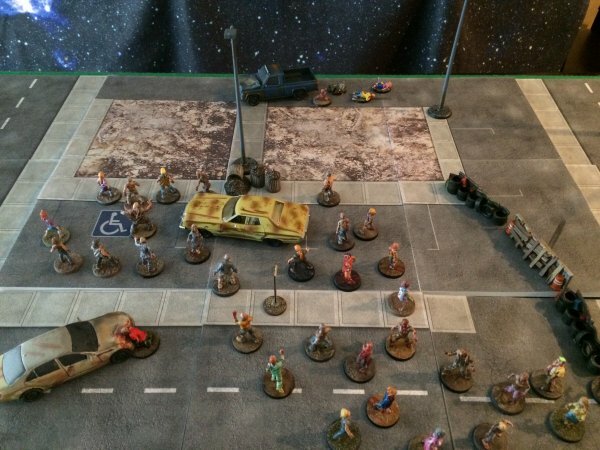 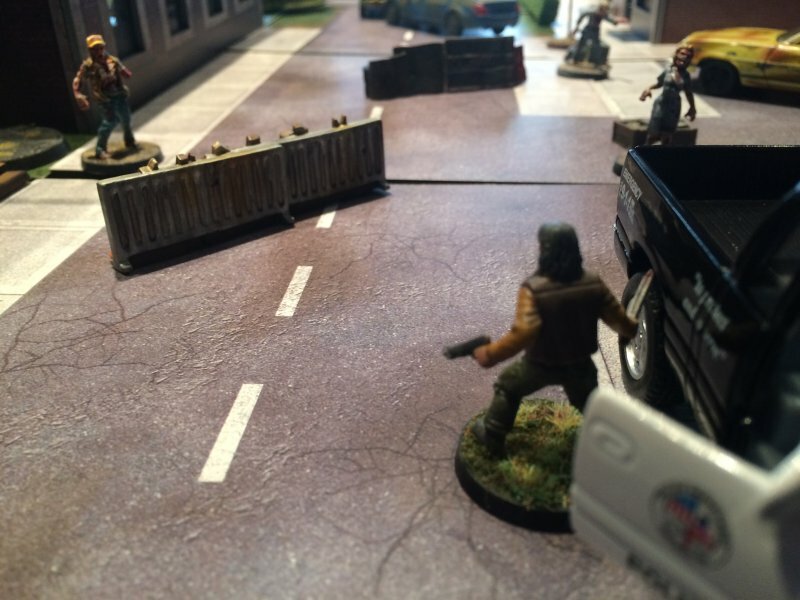 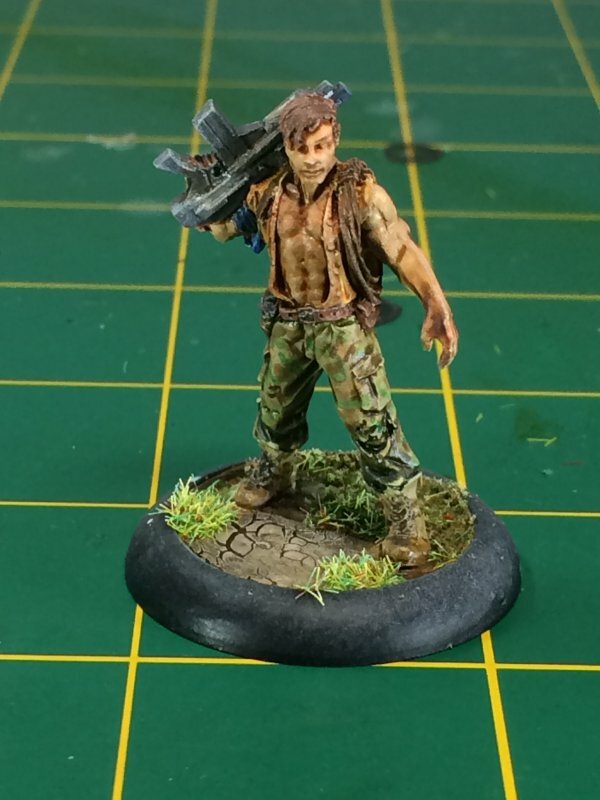 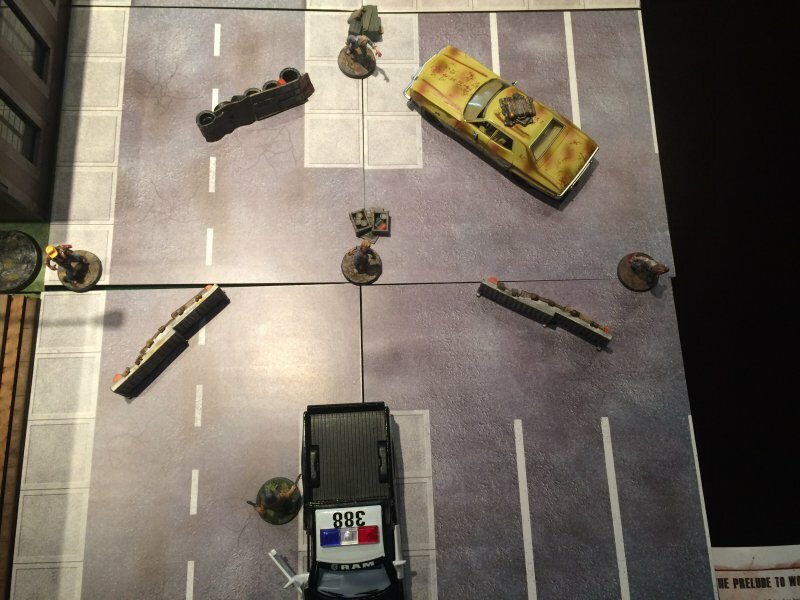 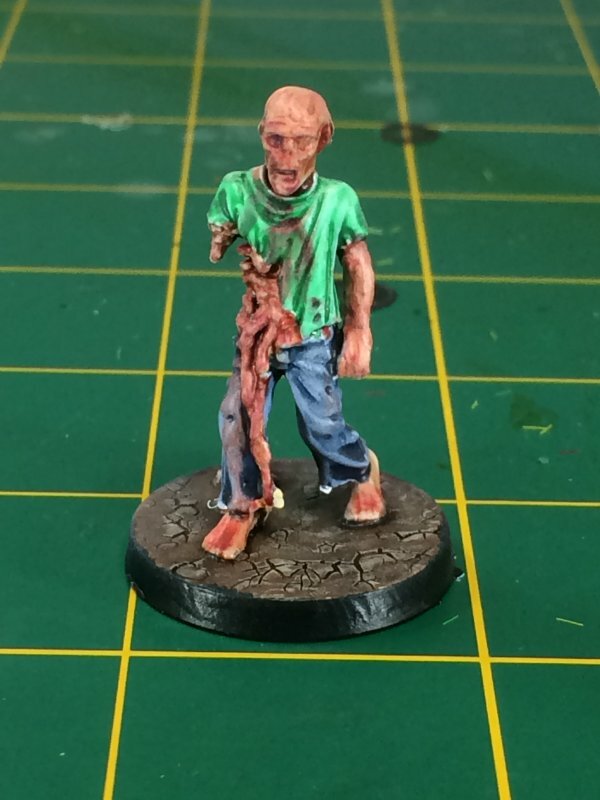 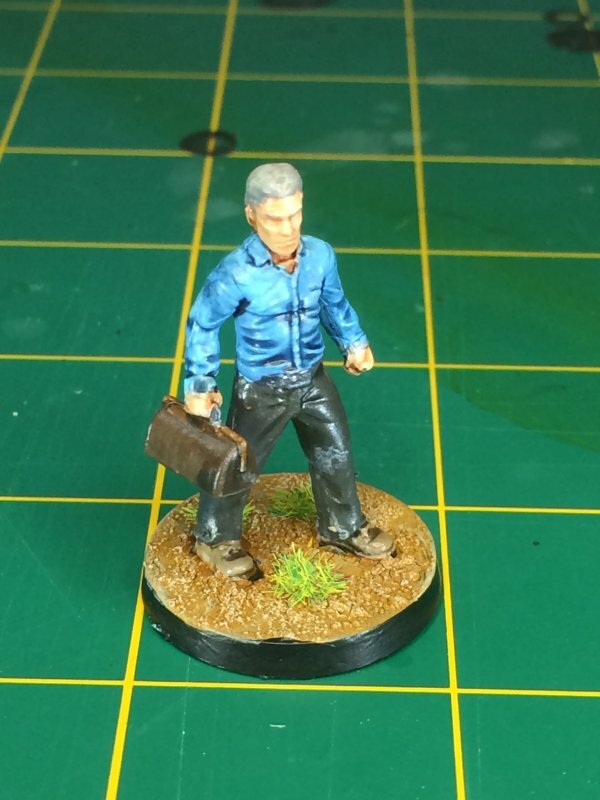 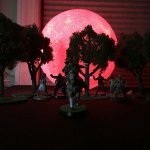 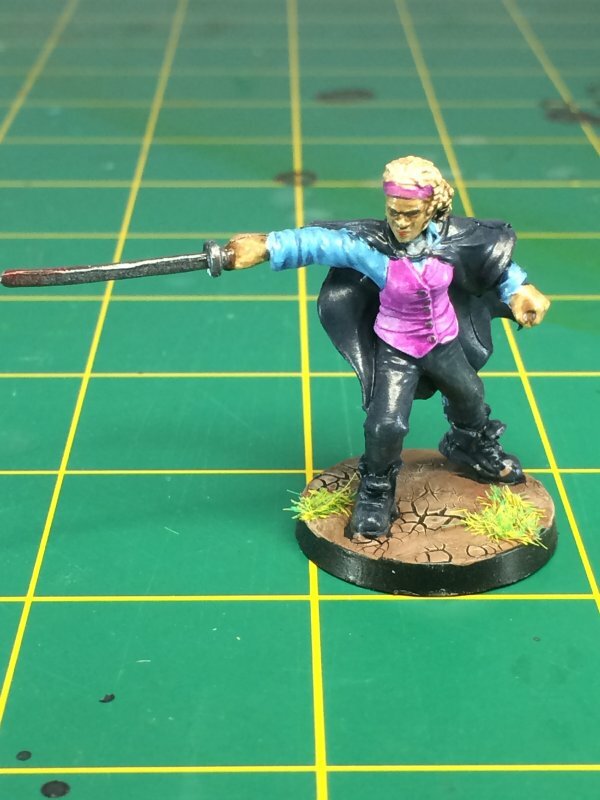 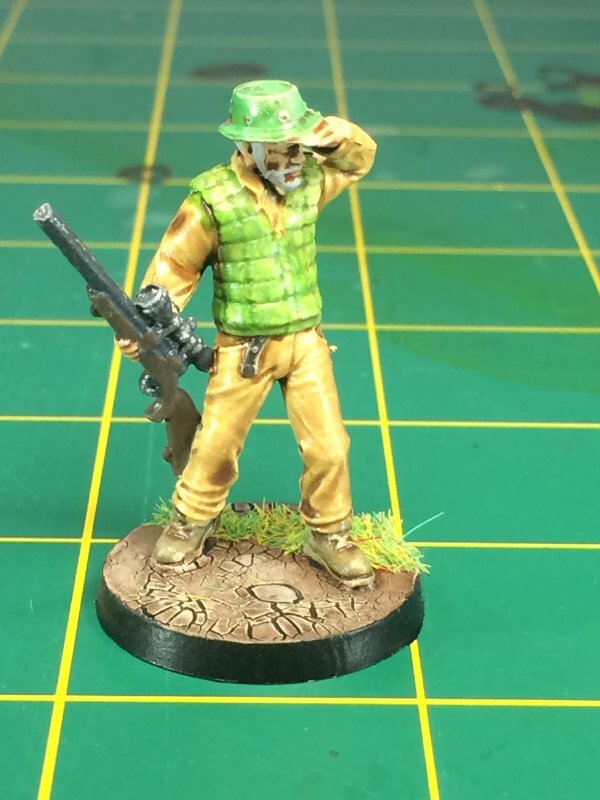 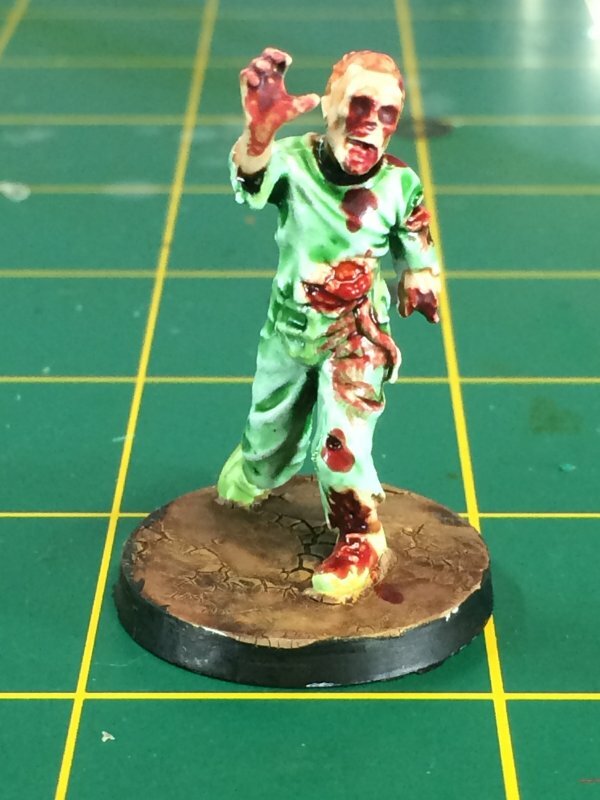 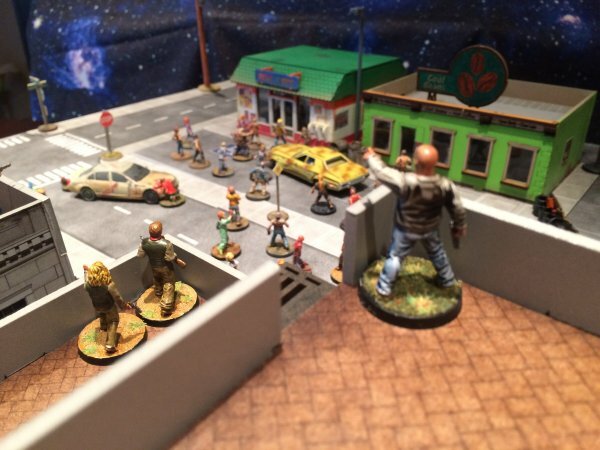 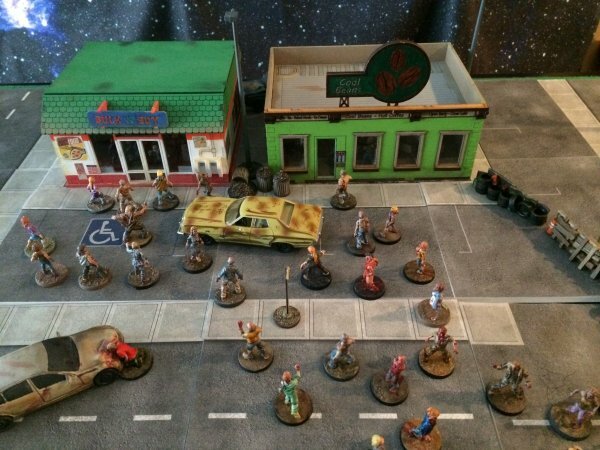 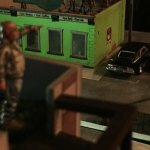 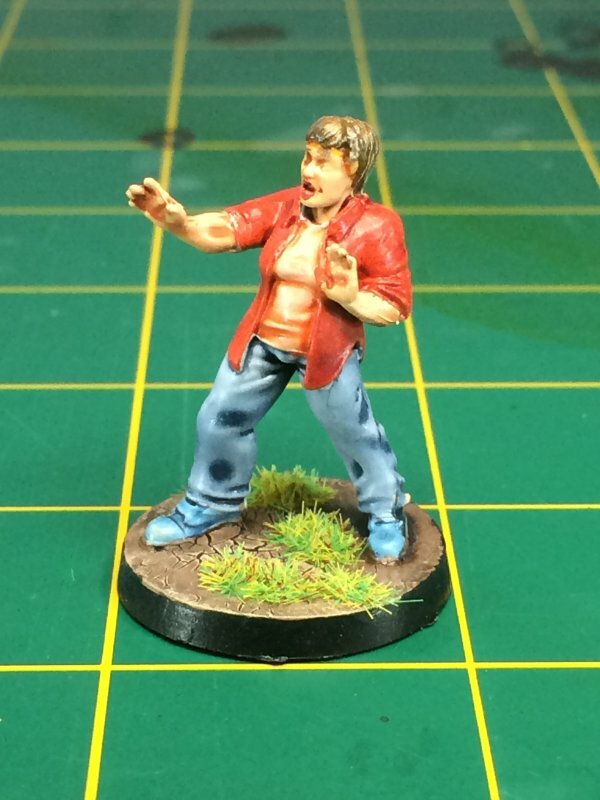 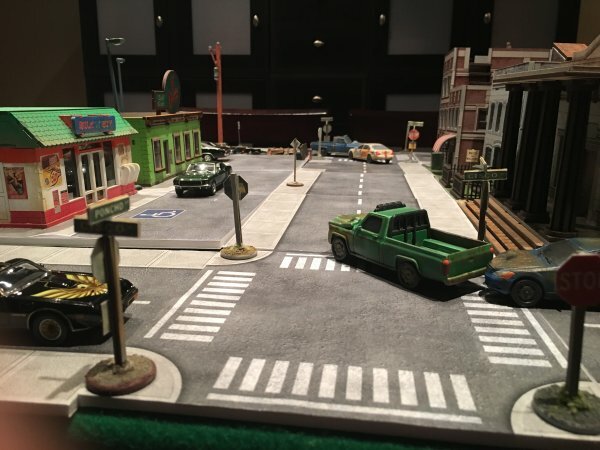 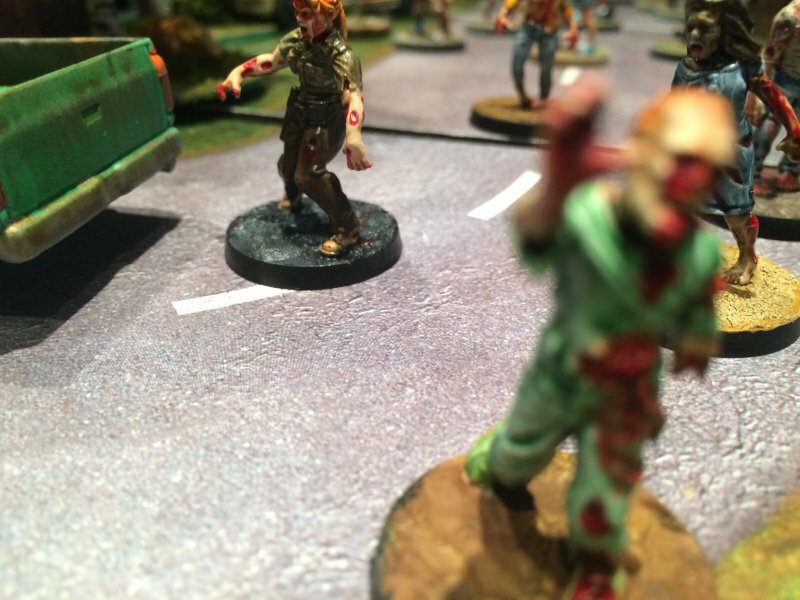 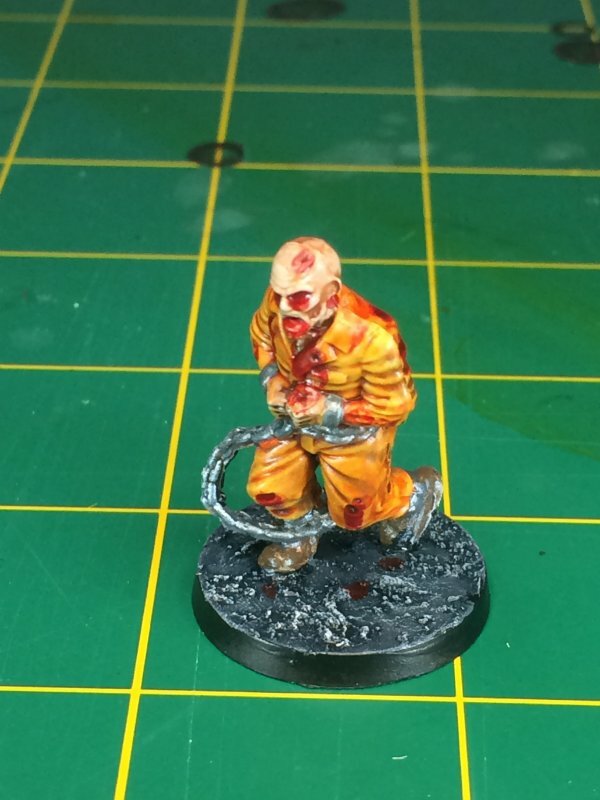 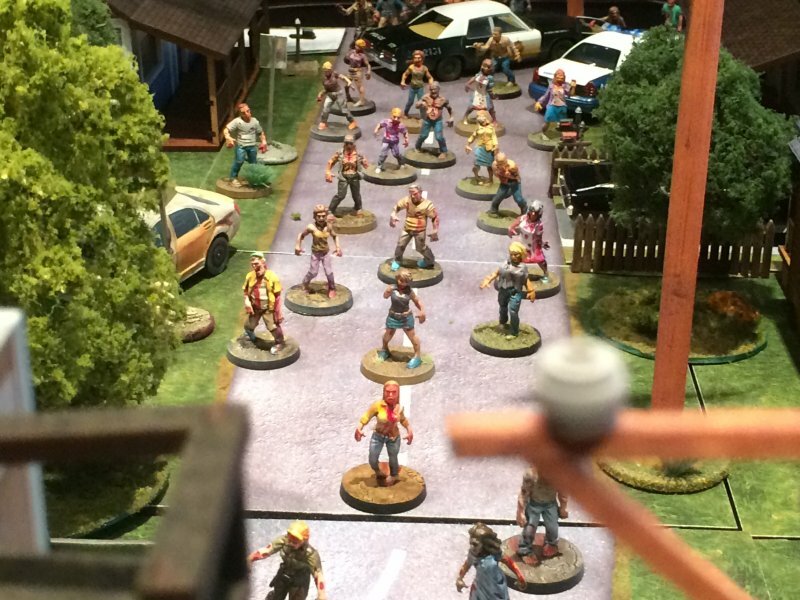 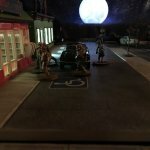 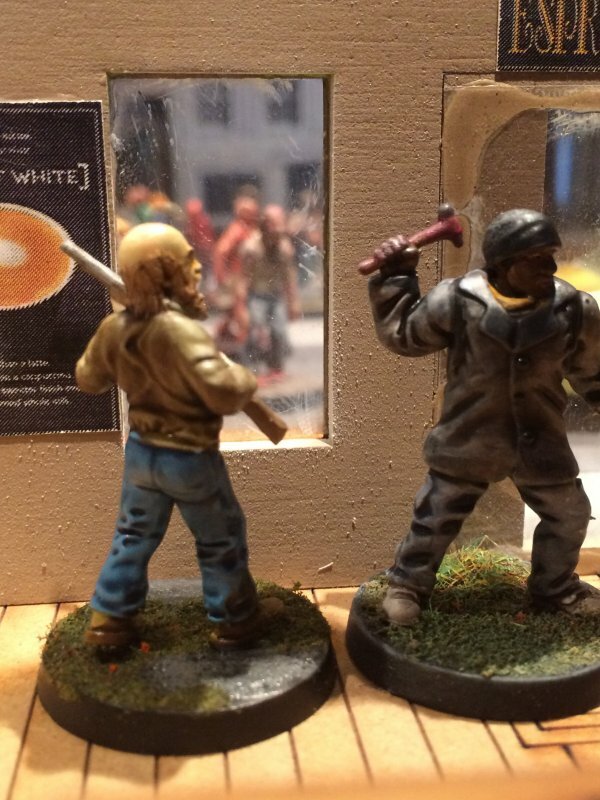 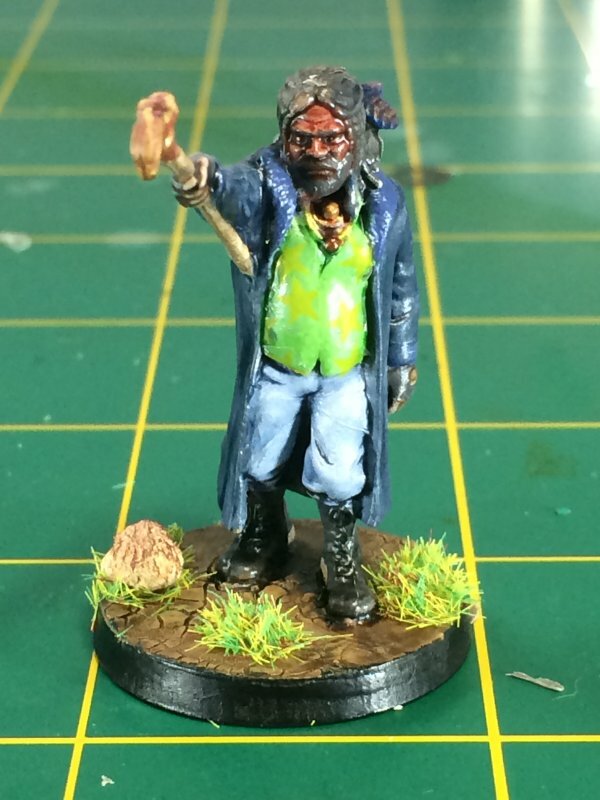 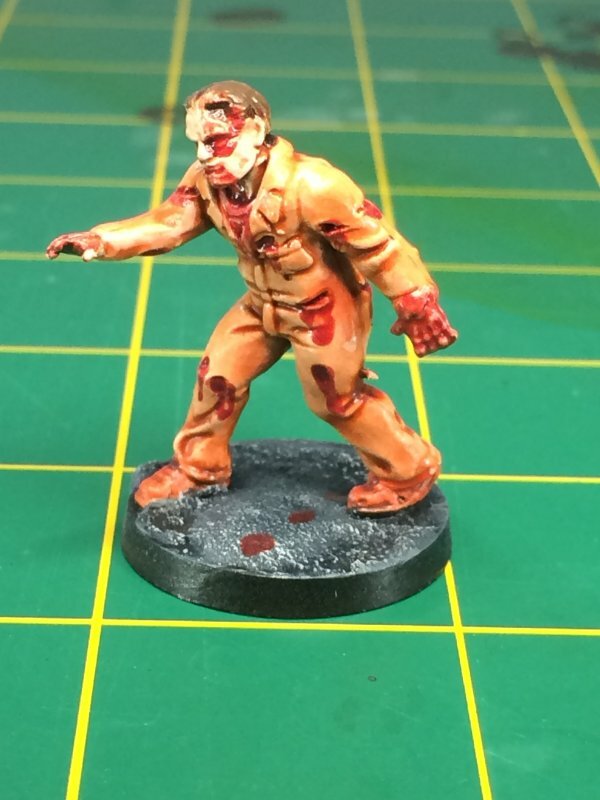 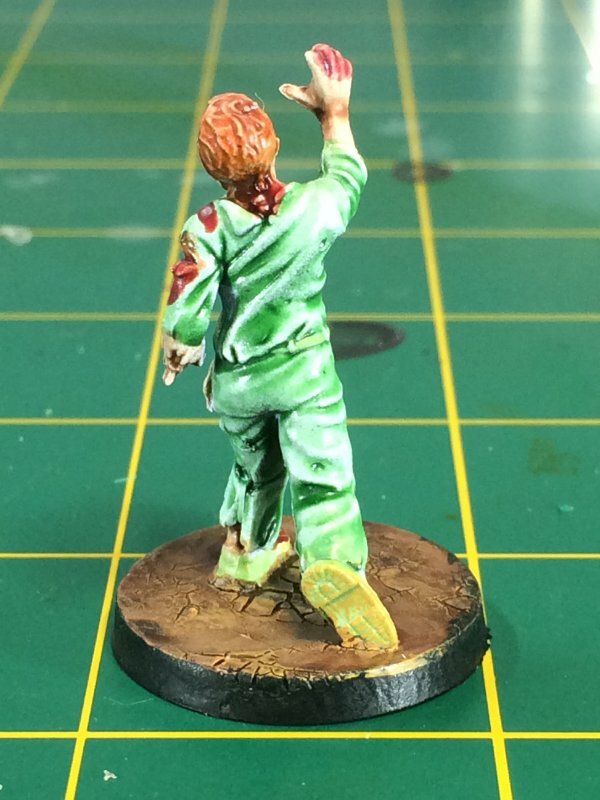 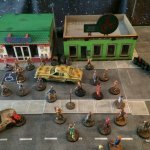 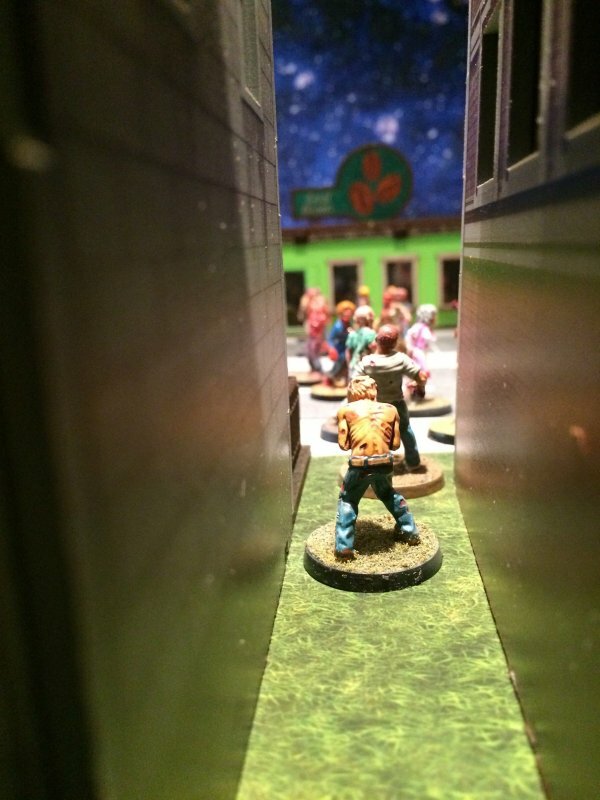 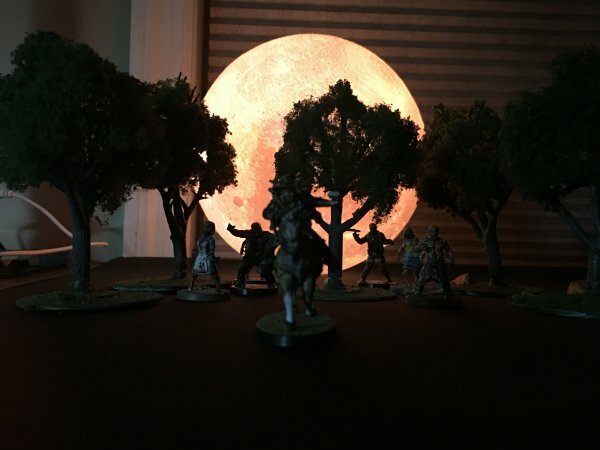 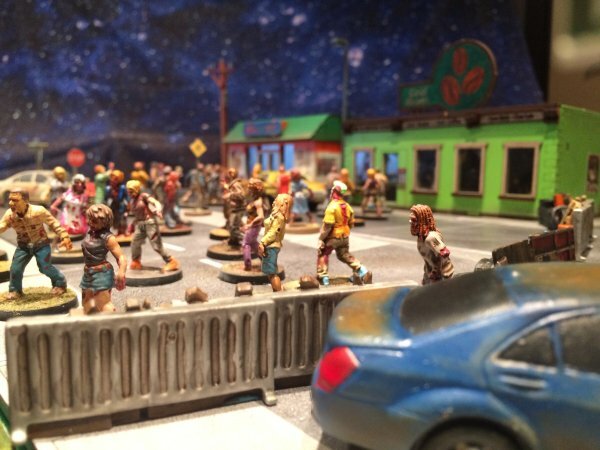 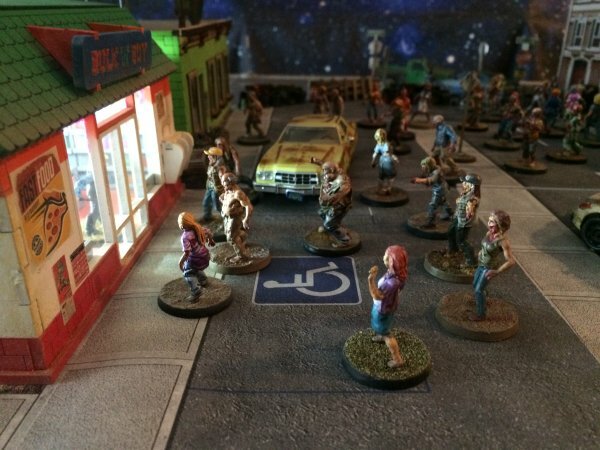 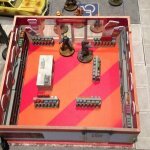 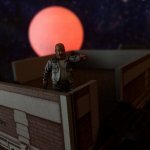 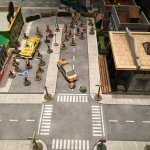 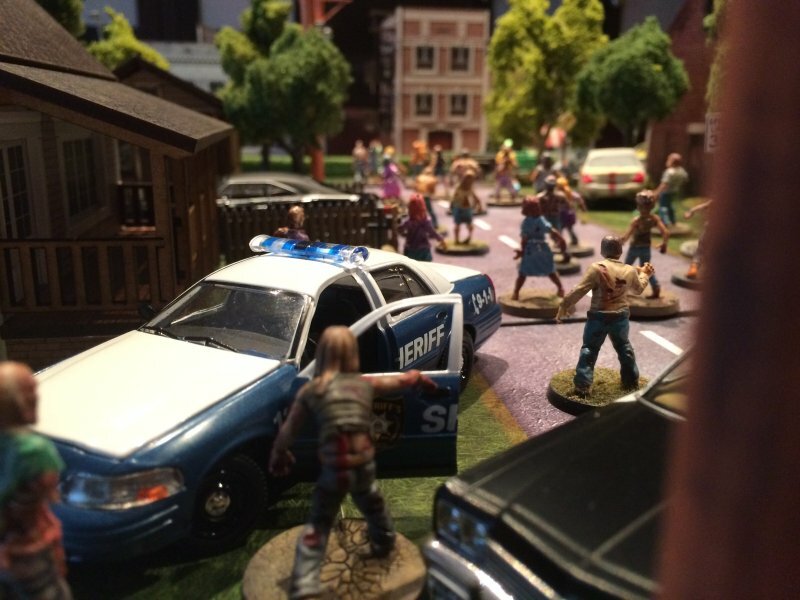 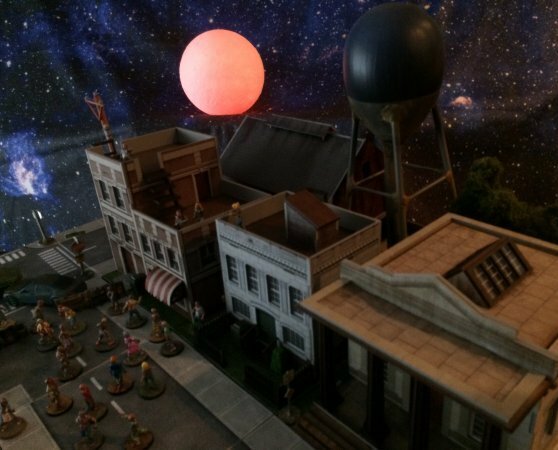 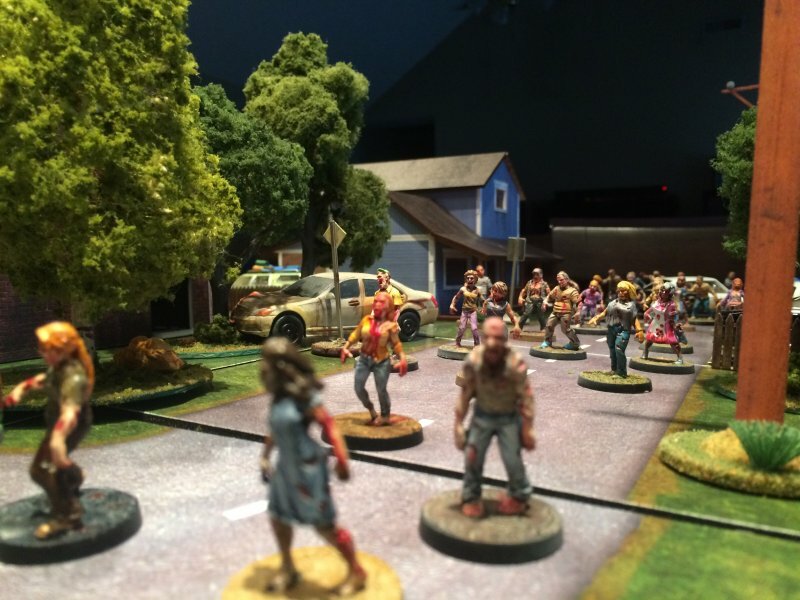 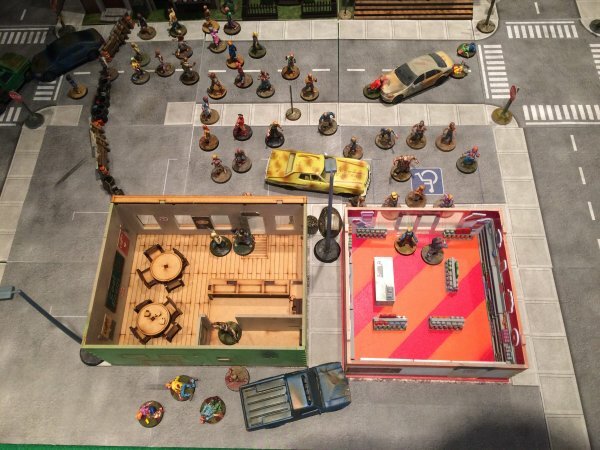 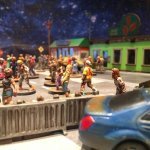 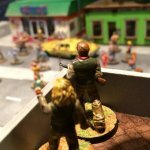 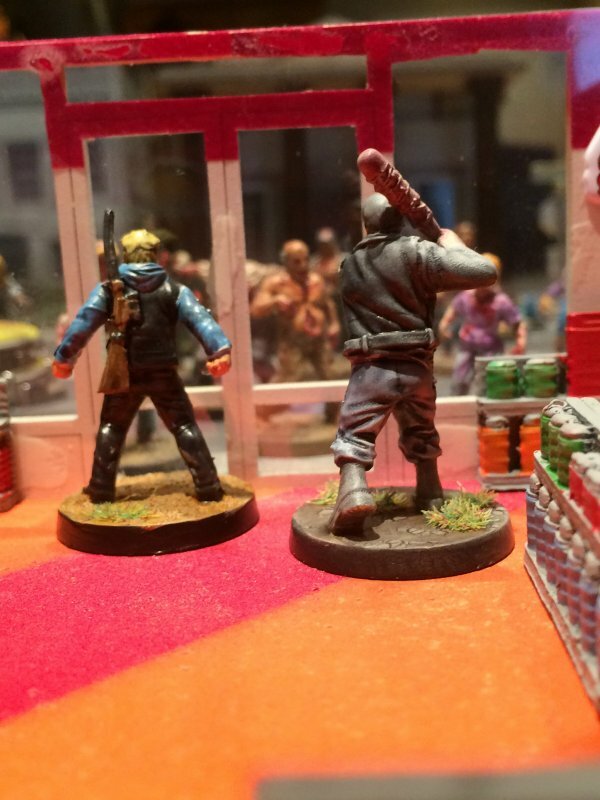 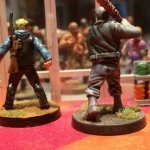 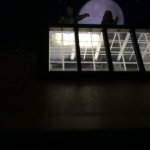 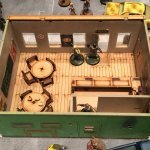 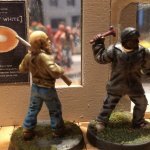 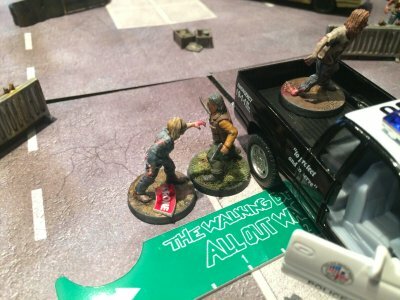 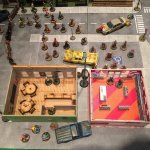 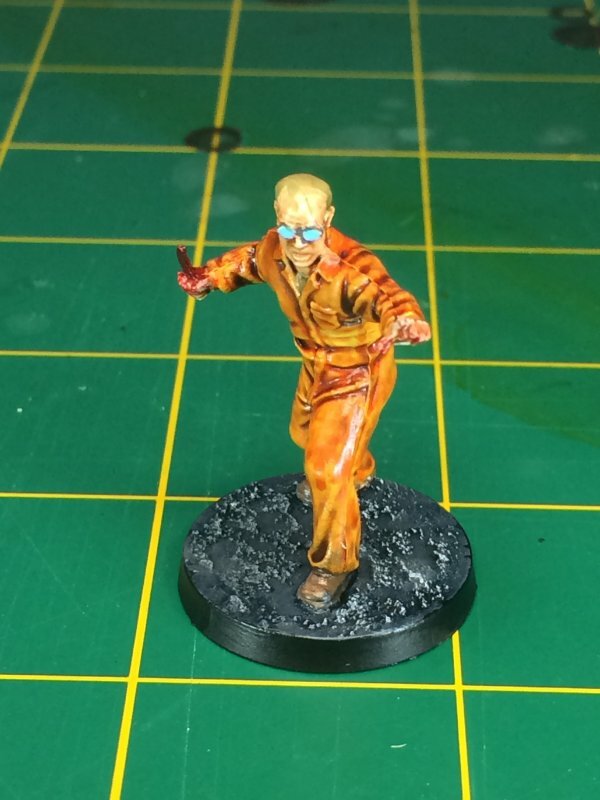 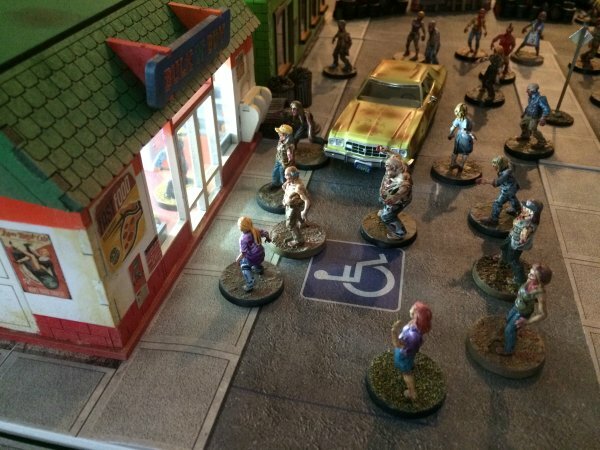 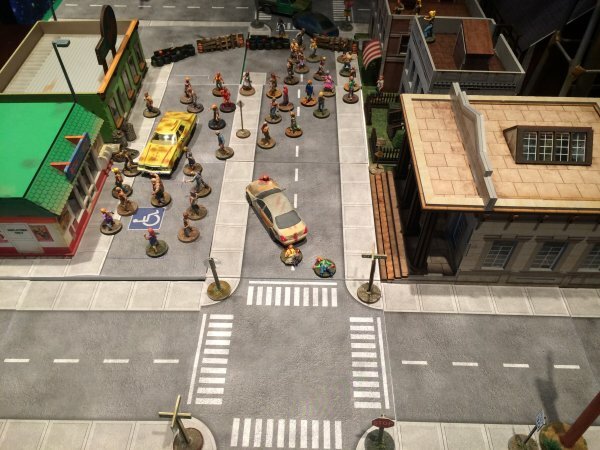 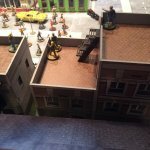 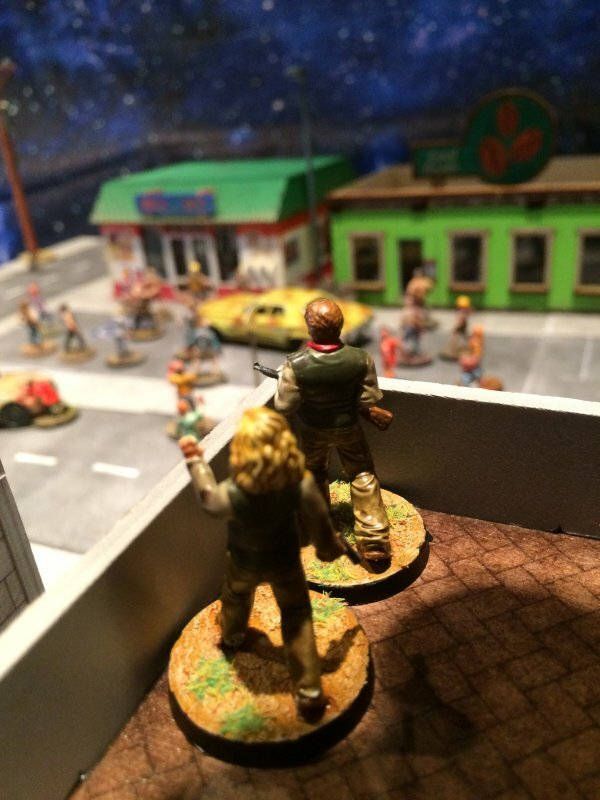 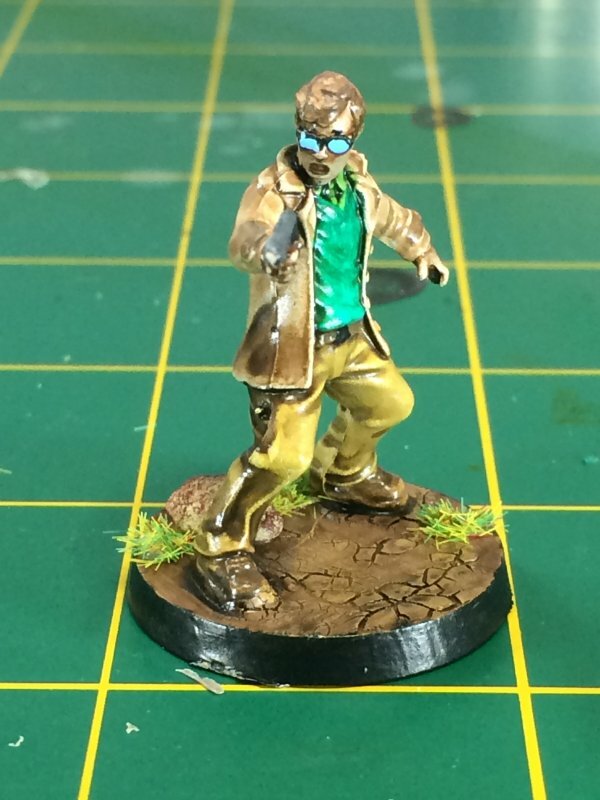 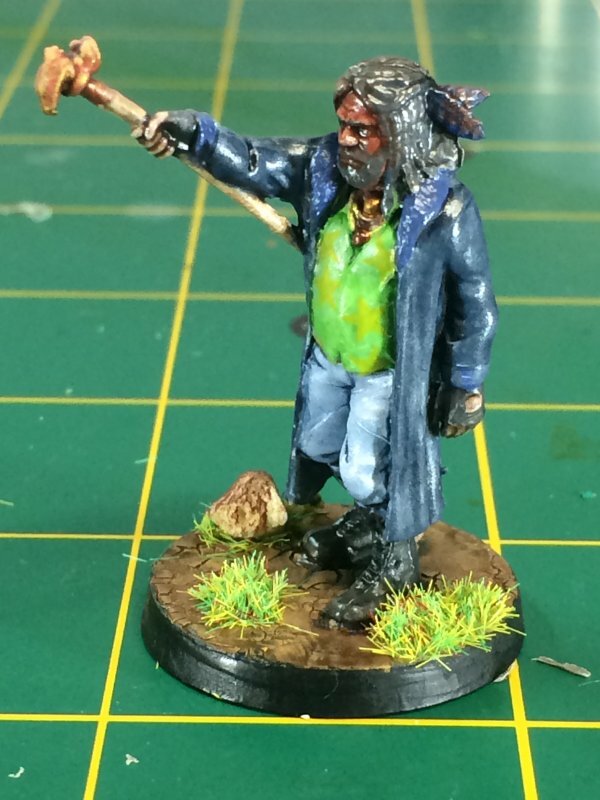 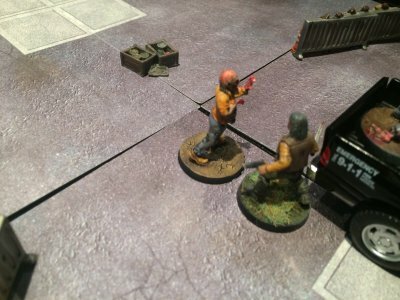 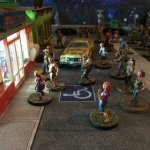 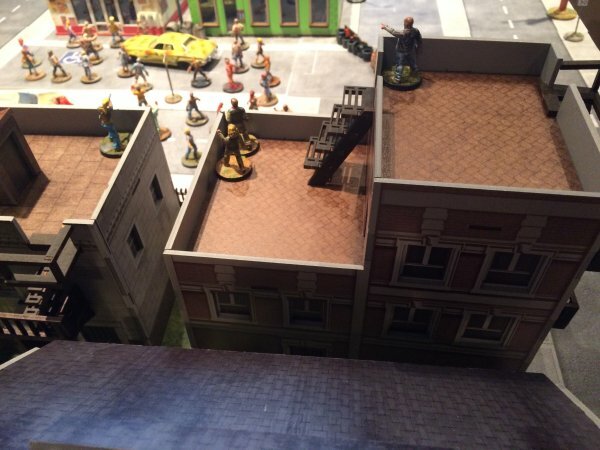 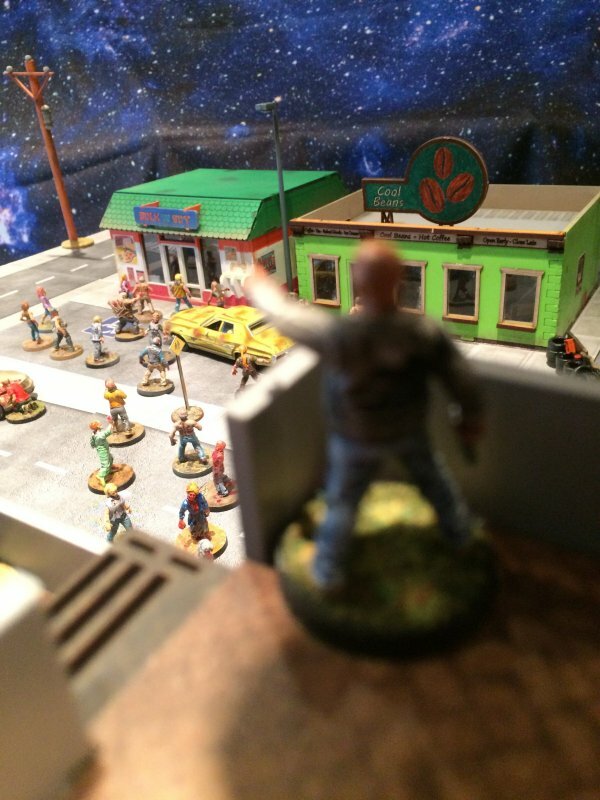 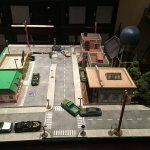 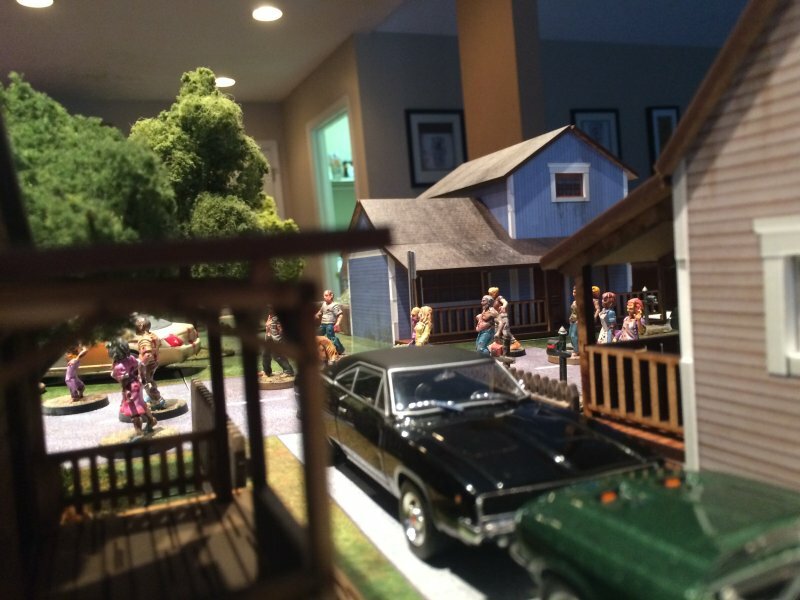 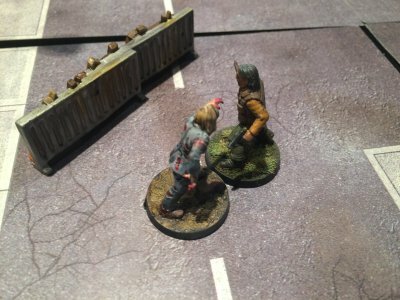 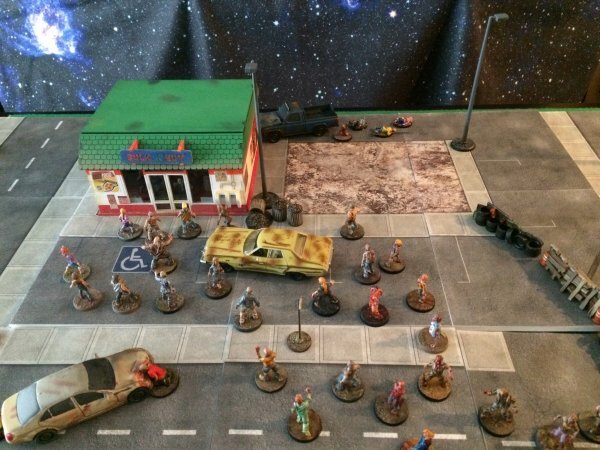 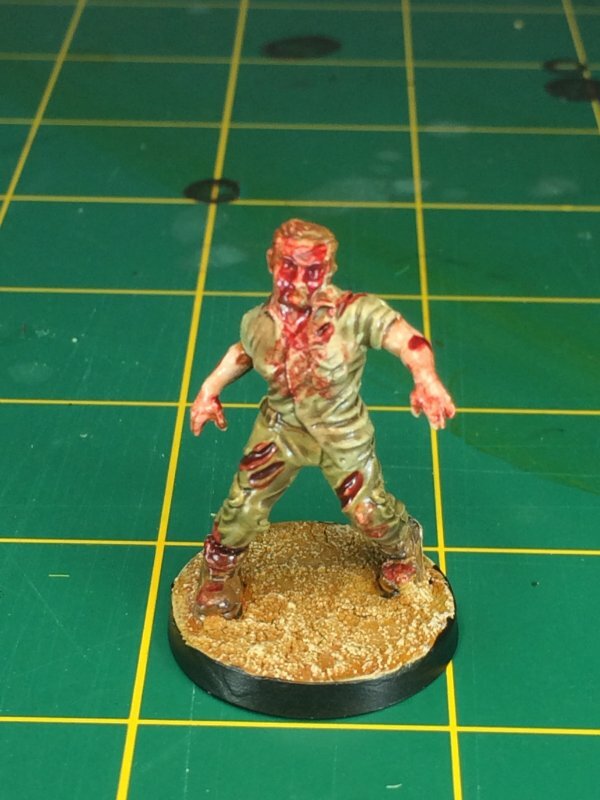 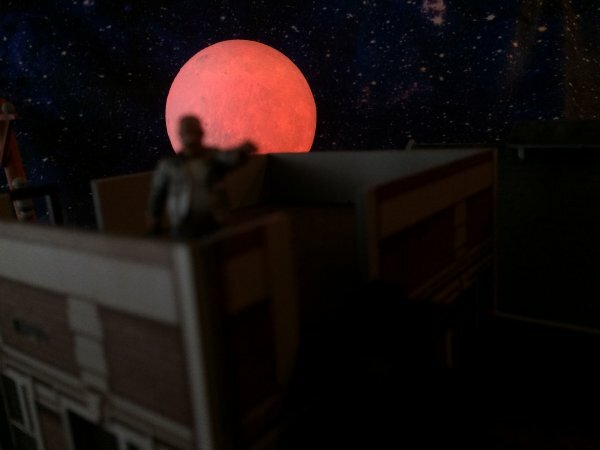 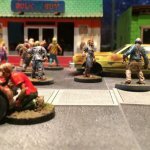 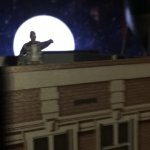 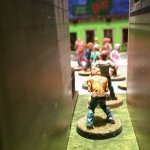 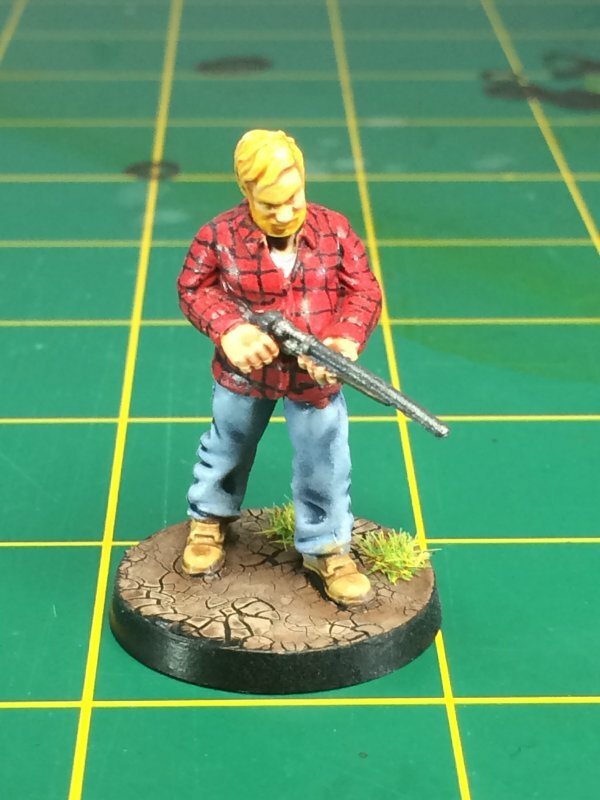 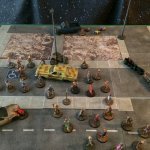 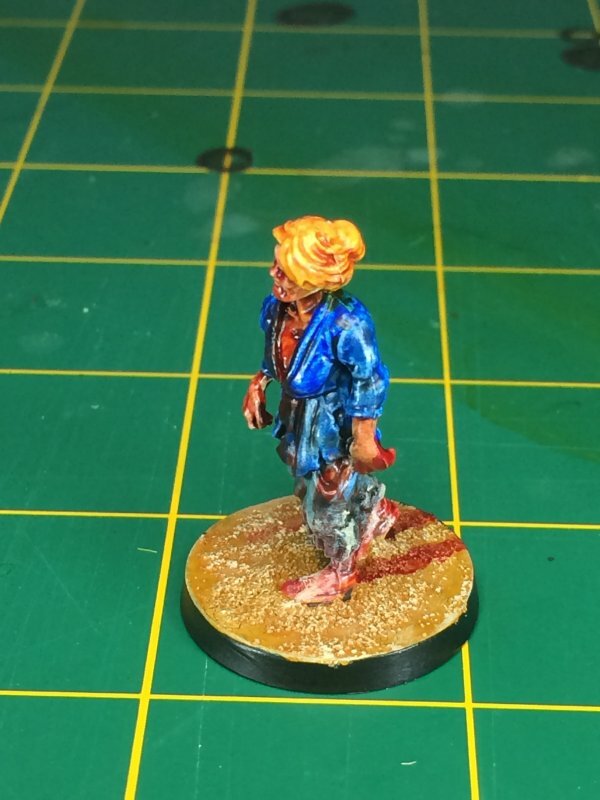 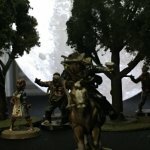 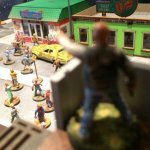 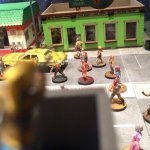 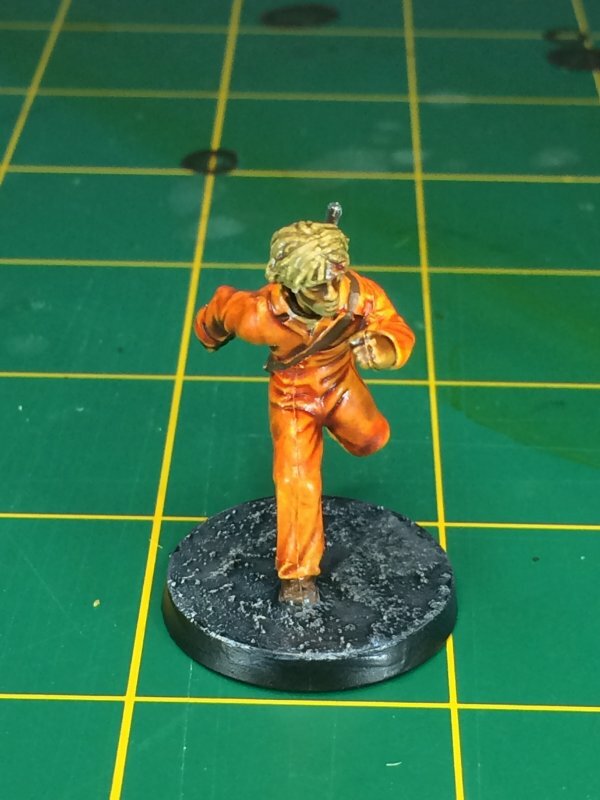 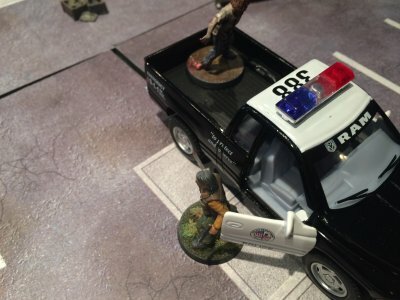 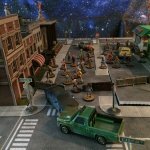 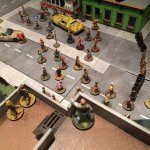 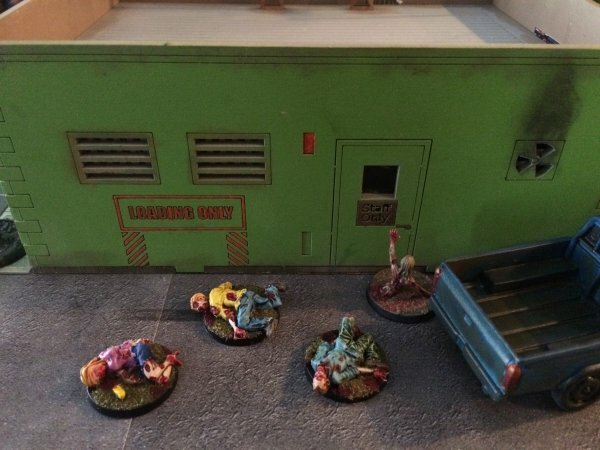 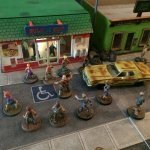 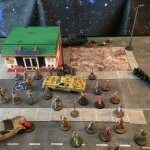 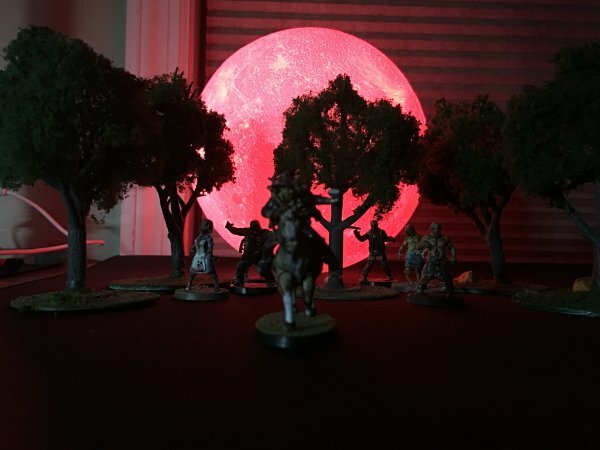 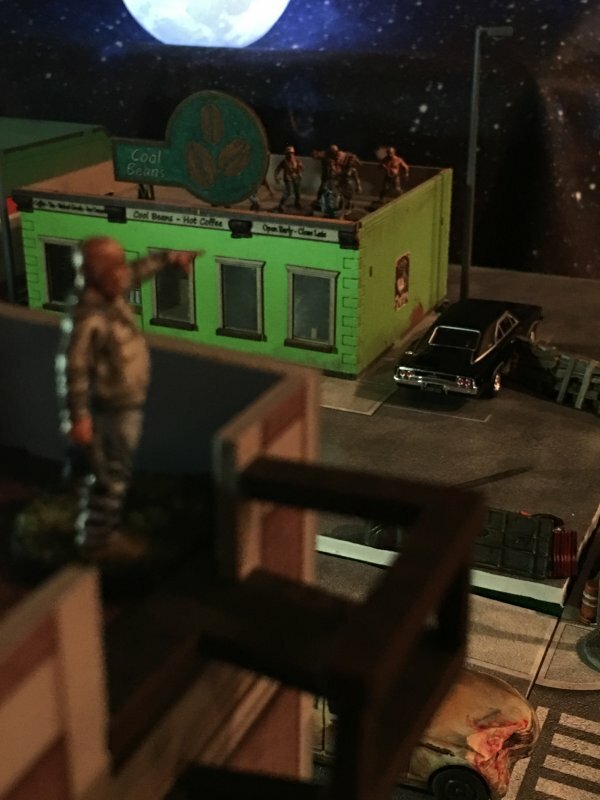 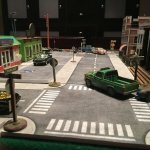 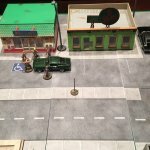 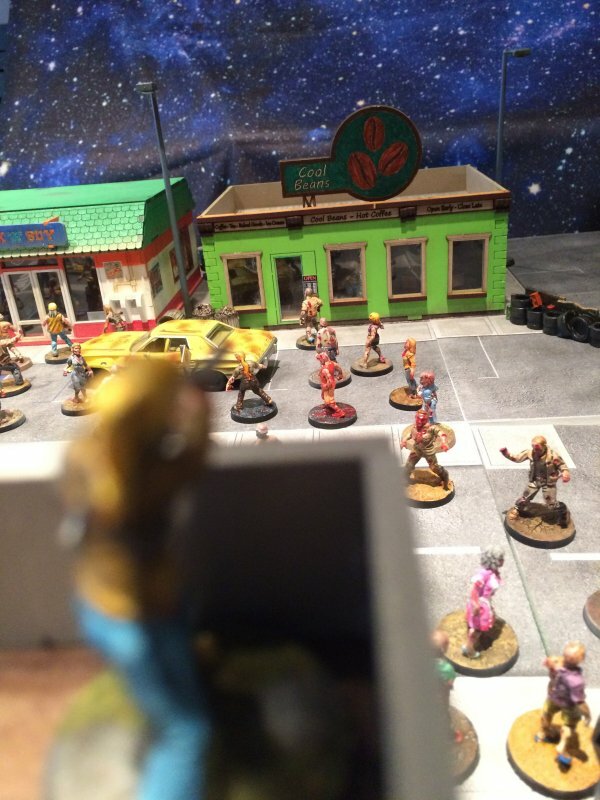 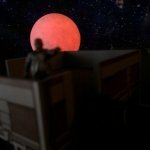 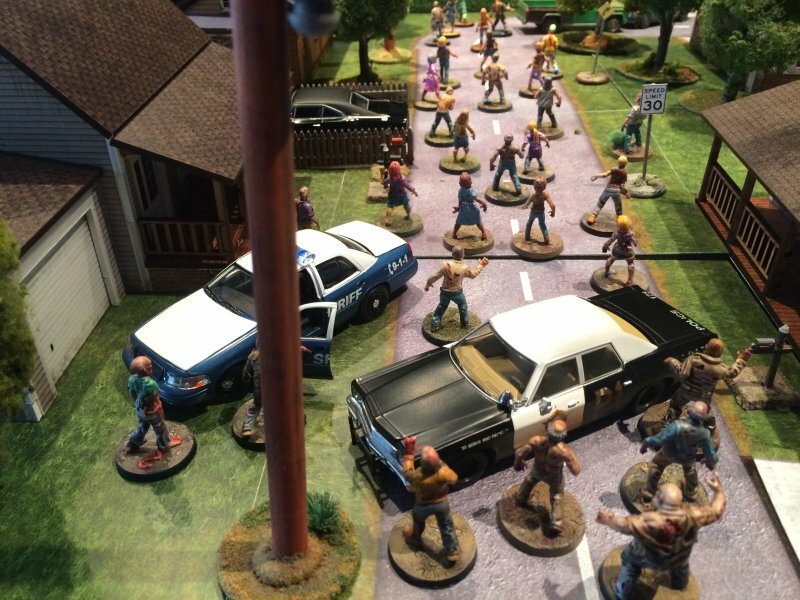 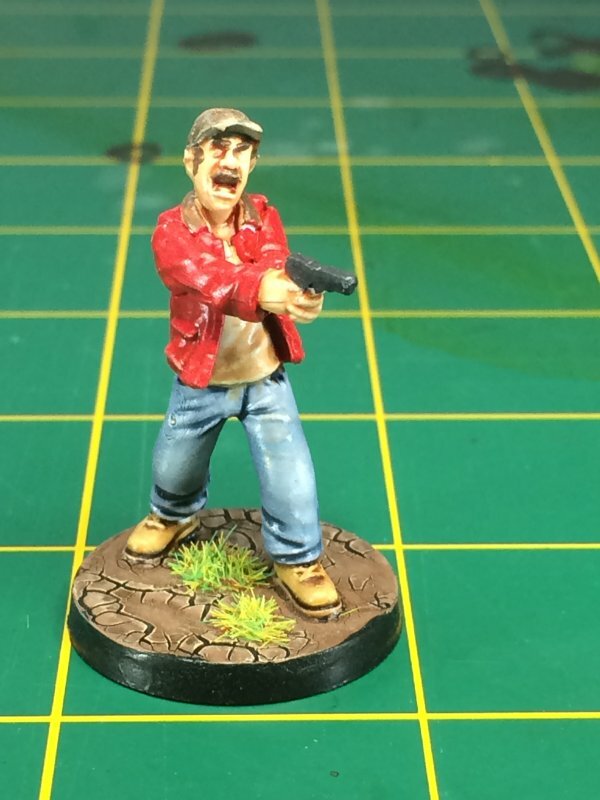 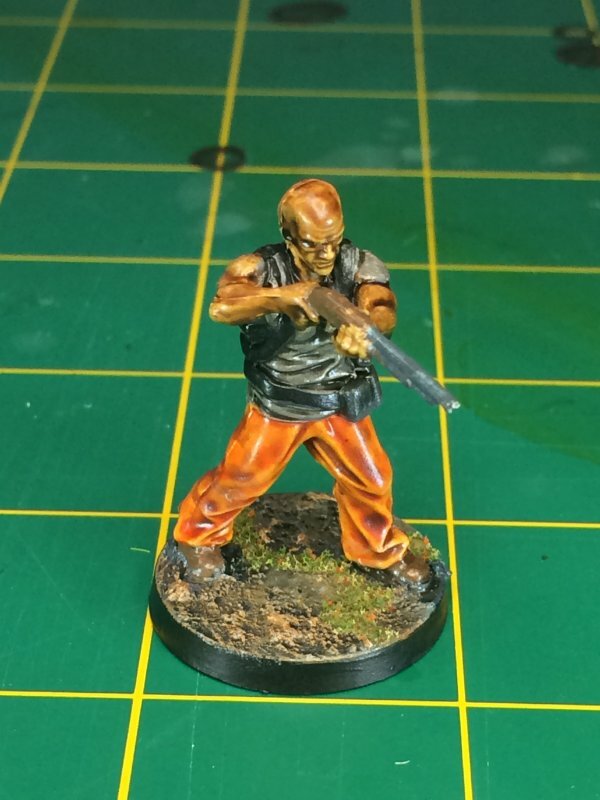 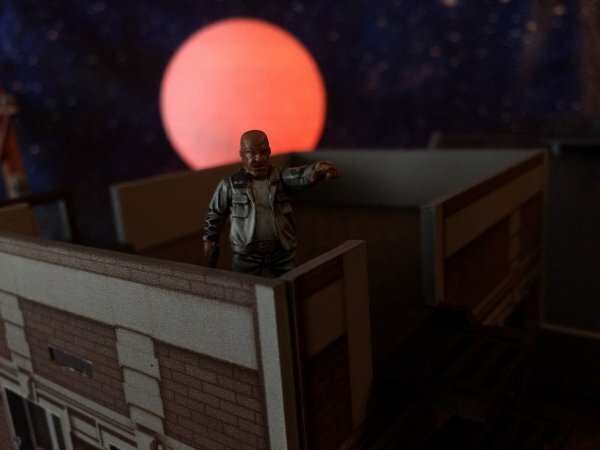 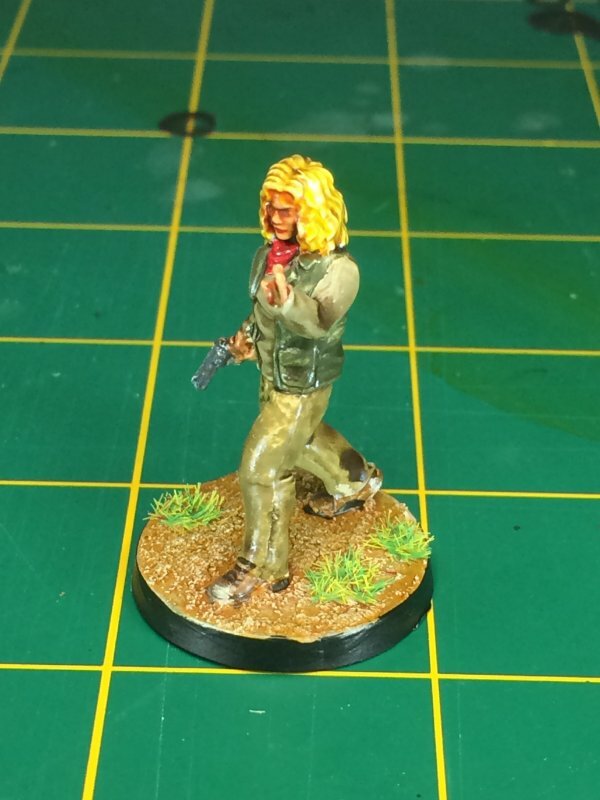 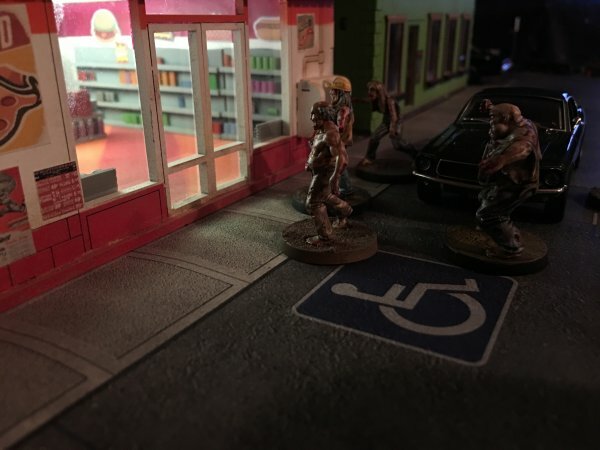 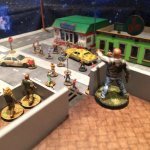 In May 2017 I decided I would concentrate on painting my Walking Dead minis and give myself a little focus beyond the random assortment of things I would pick to paint all willy-nilly like. 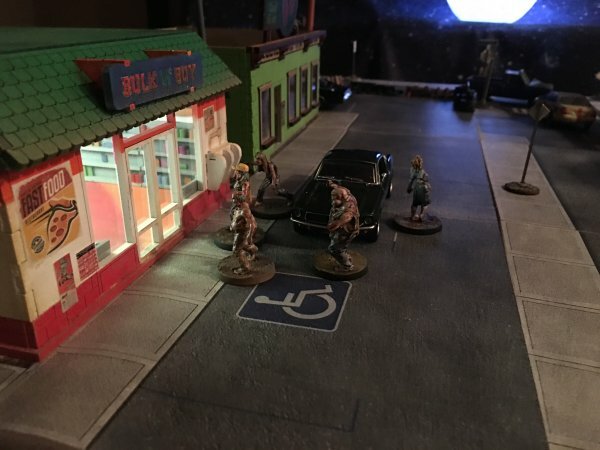 Slightly less than a year later, I've managed to complete the Walking Dead minis that have been released through retail outlets at this juncture. 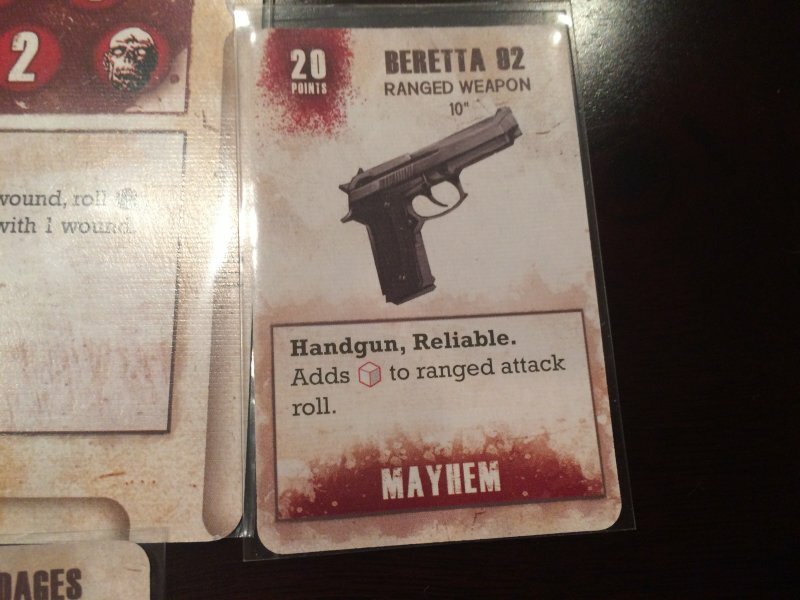 Oh, trust me, there's a lot more coming. 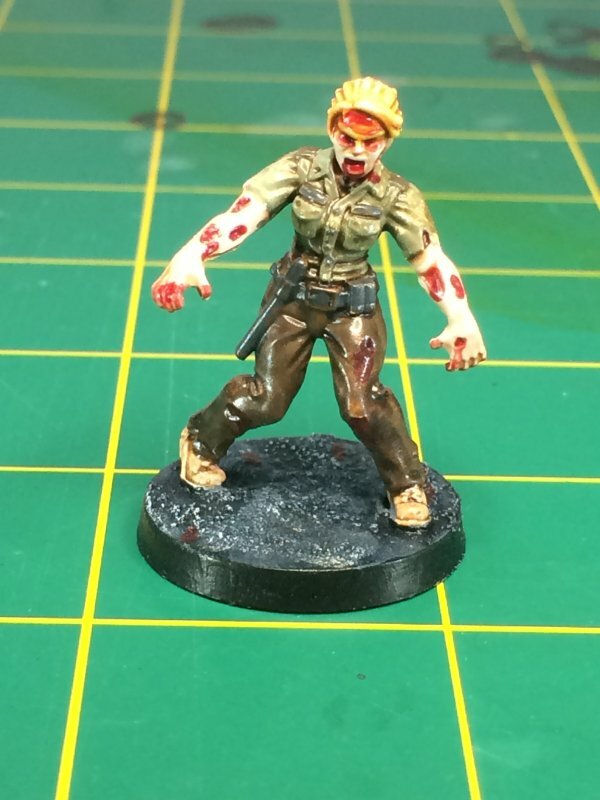 Over the last couple of weeks I finished up the final 24 of 125 minis. 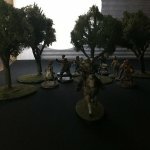 That's how many minis (ha!) 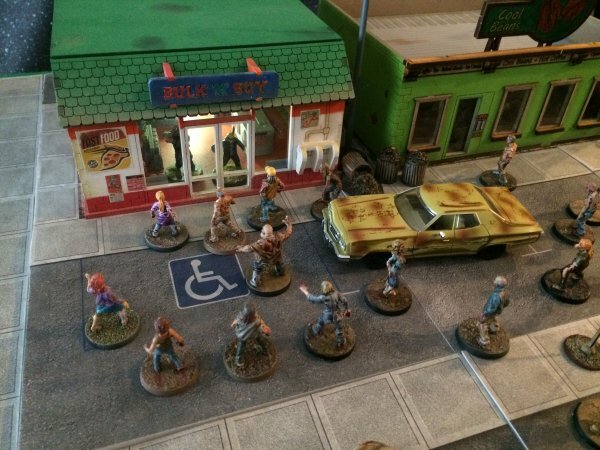 are in my Walking Dead collection. 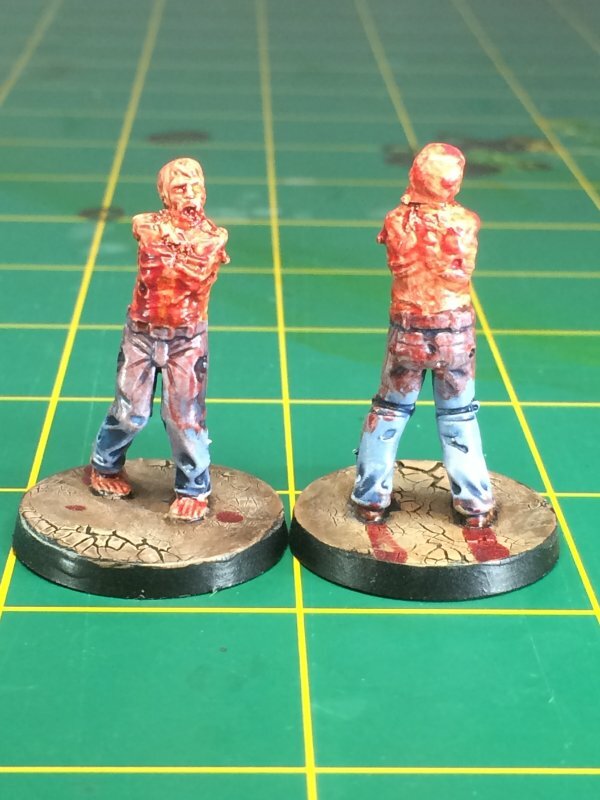 Looking at the first one I painted VS the last one painted... honestly, I can't tell that much of an improvement. 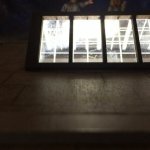 I had a goal, and that goal is complete. 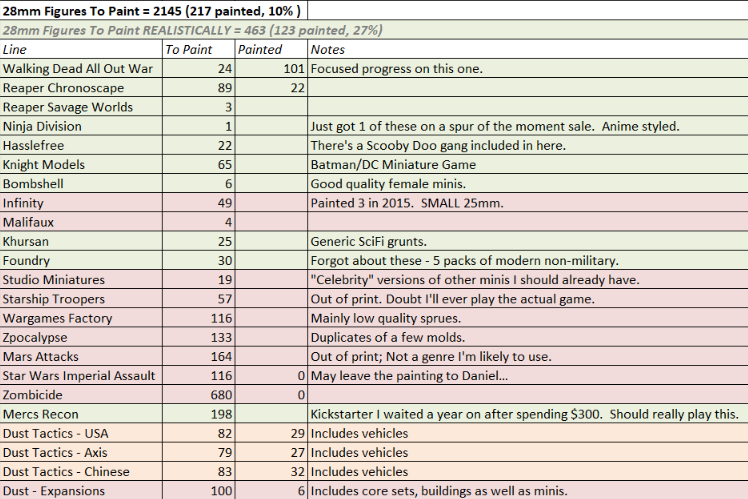 I have more goals, I just don't know what order they need to be in yet. 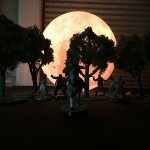 Once again, these look ok when in play from a couple of feet away. 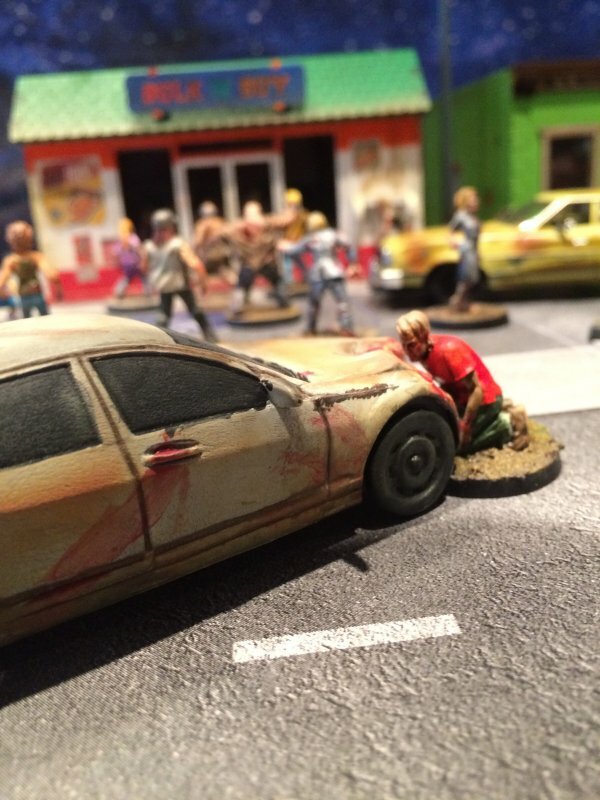 Up close, geez. 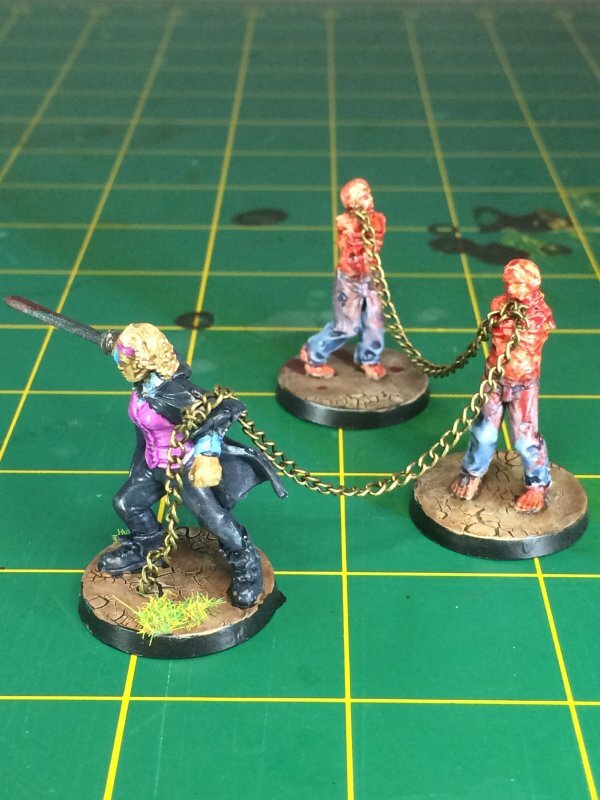 Not nearly as good as I thought when I was painting them. 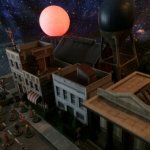 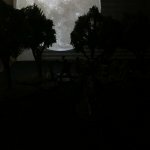 Here's the latest hobby spreadsheet update! 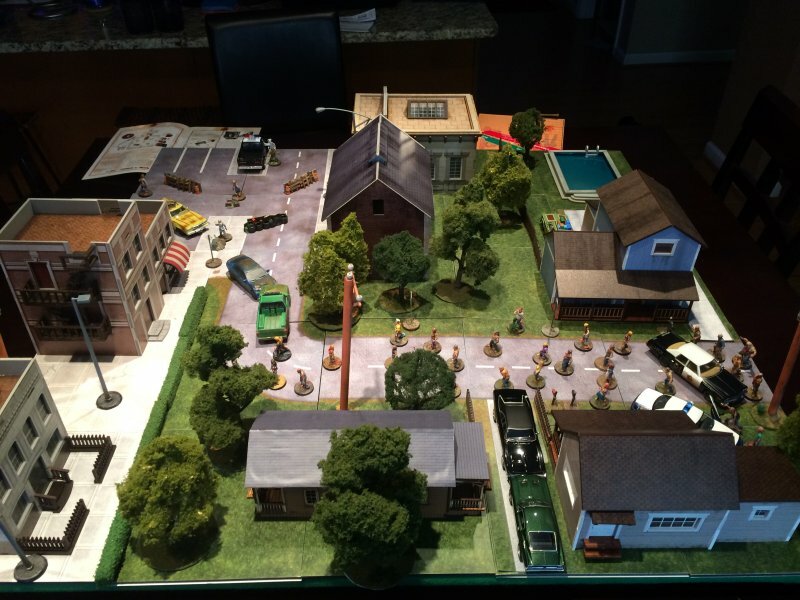 Next up I'm going to finally play the 3rd mission/scenario from the solo Woodbury set. 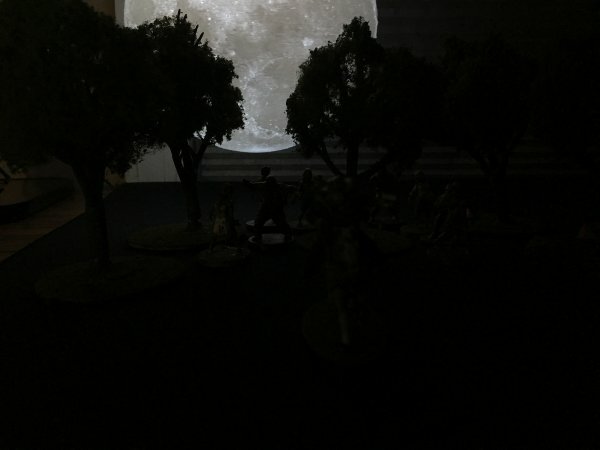 I've got 125 minis painted, and yet still only need 6 to play this scenario. 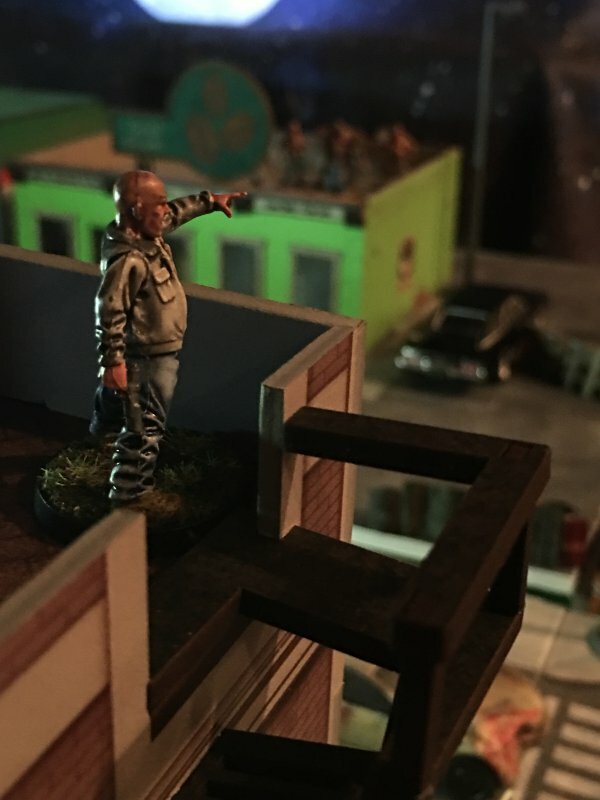 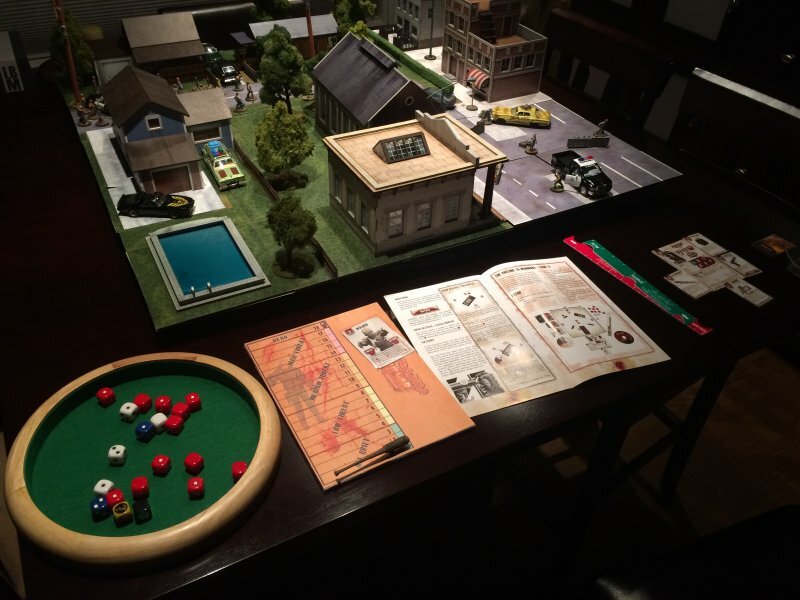 But I'm in this for the toys and prep, not the game! 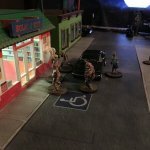 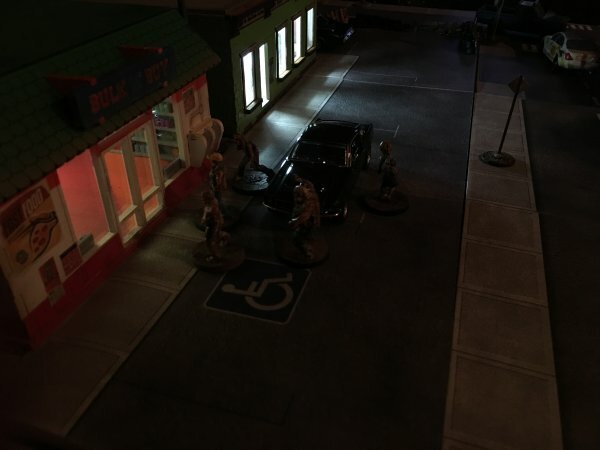 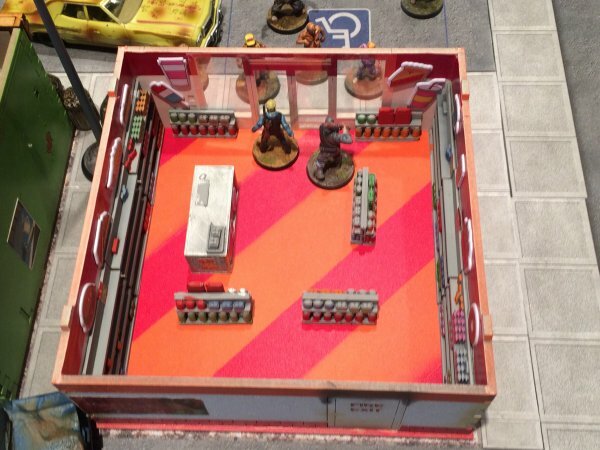 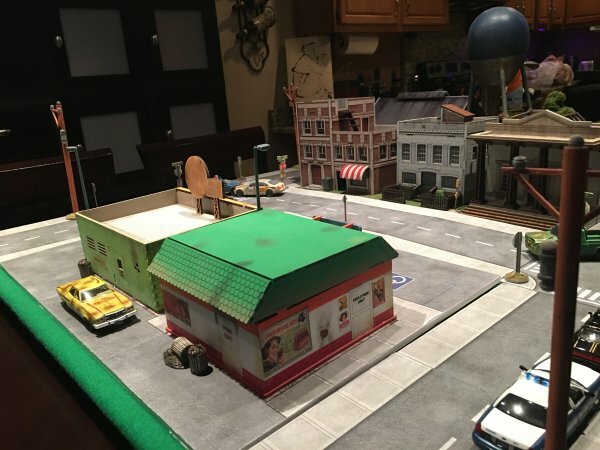 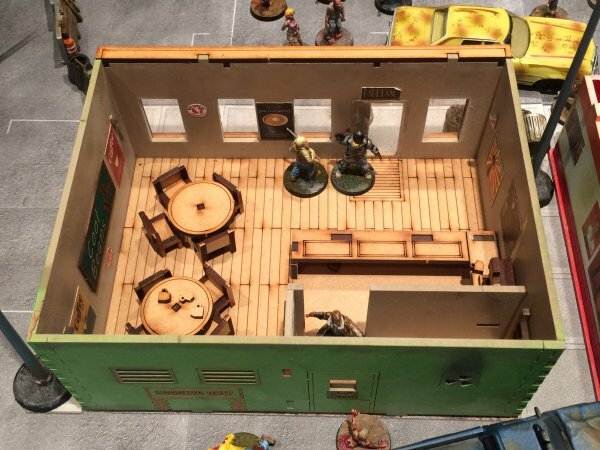 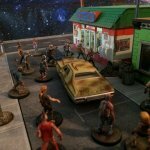 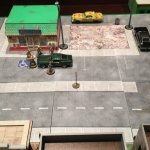 After that will be a little break from painting proper as I work on a convenience store from TTCombat. 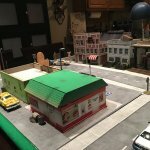 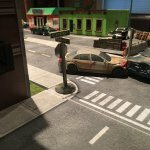 The first commercial building in my zombie infested world! 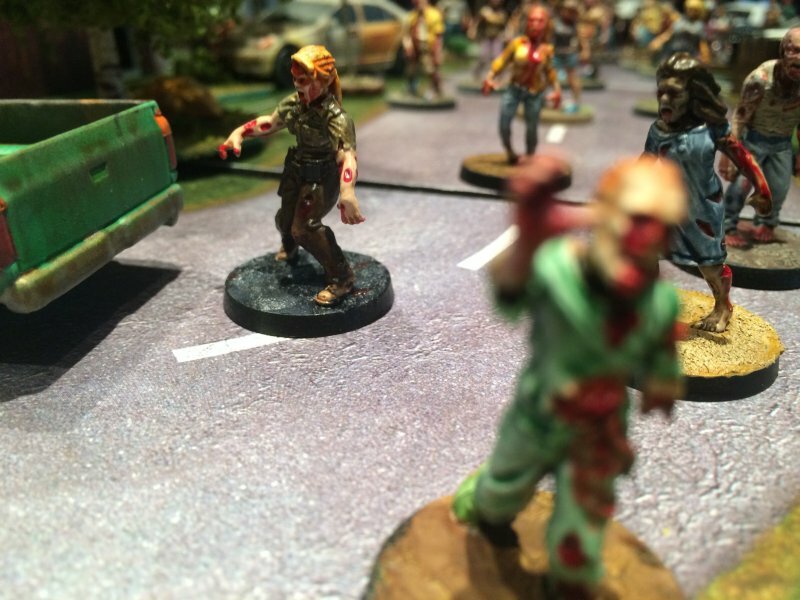 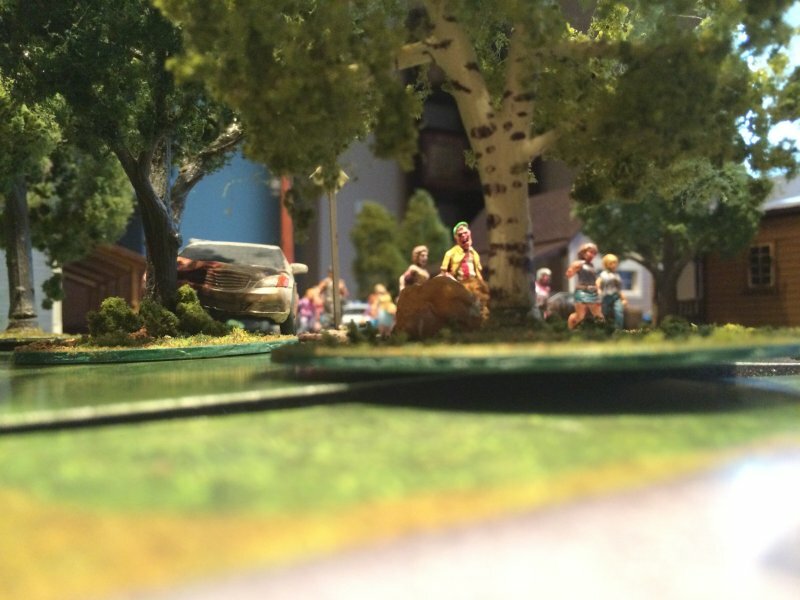 My skill level for miniature painting is definitely Game Table. 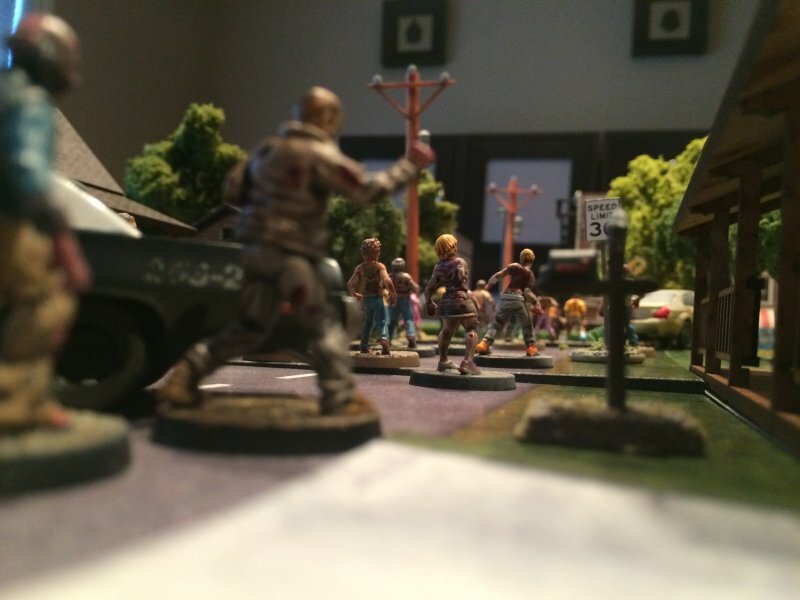 My minis look ok from about 3 feet away. 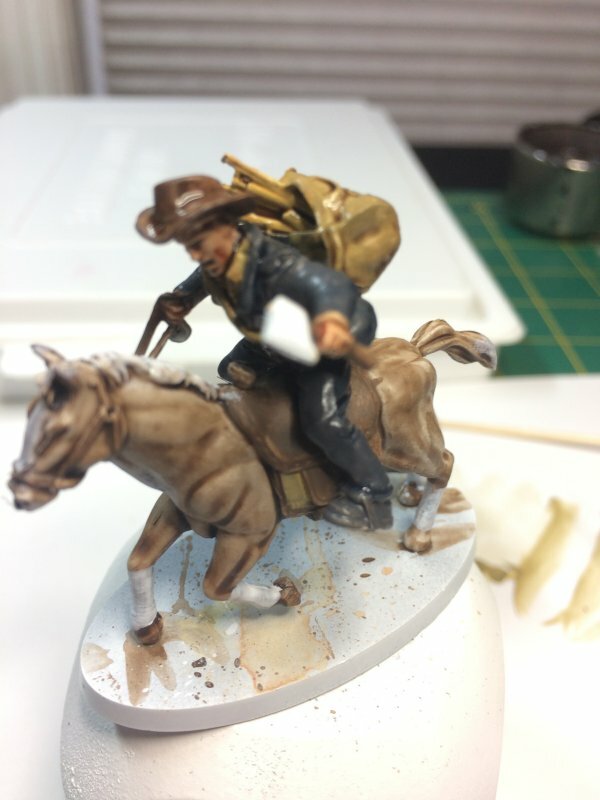 I have friends that paint much better than I do, and they motivate me to be better, but I ain't nowhere near as good with intricate details as they are. 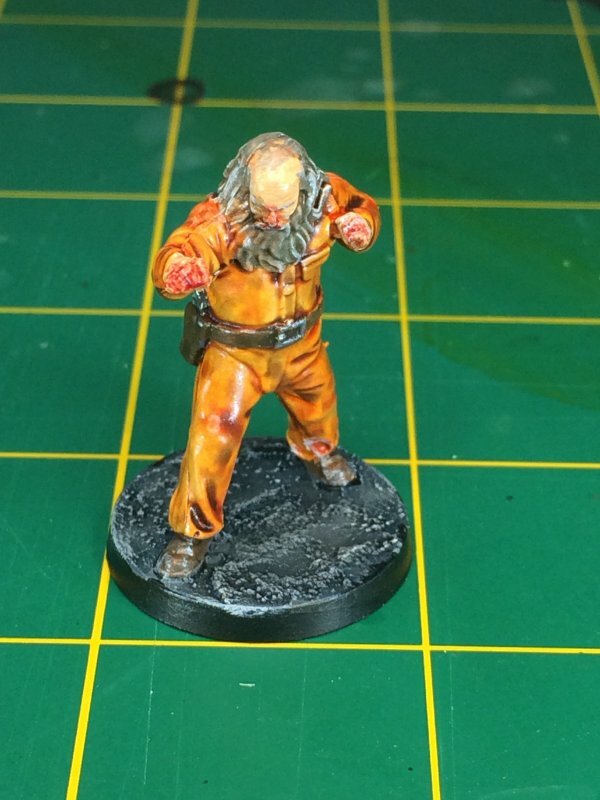 But I don't let that keep me from painting. I enjoy my non-computerized hobby. 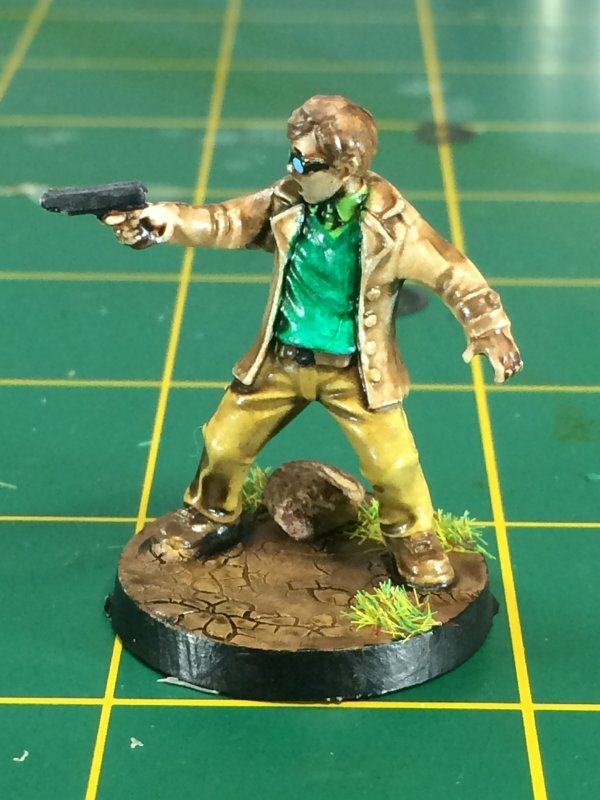 The first half of this month got 12 more minis painted. 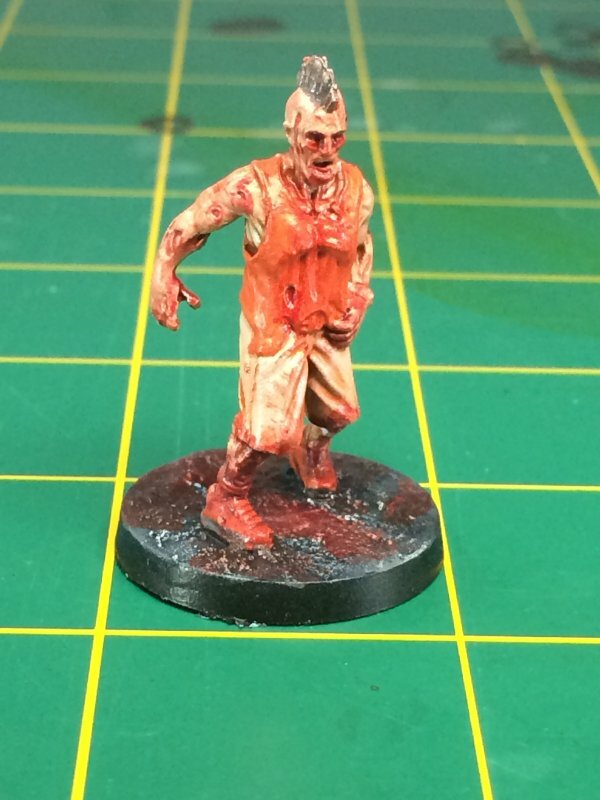 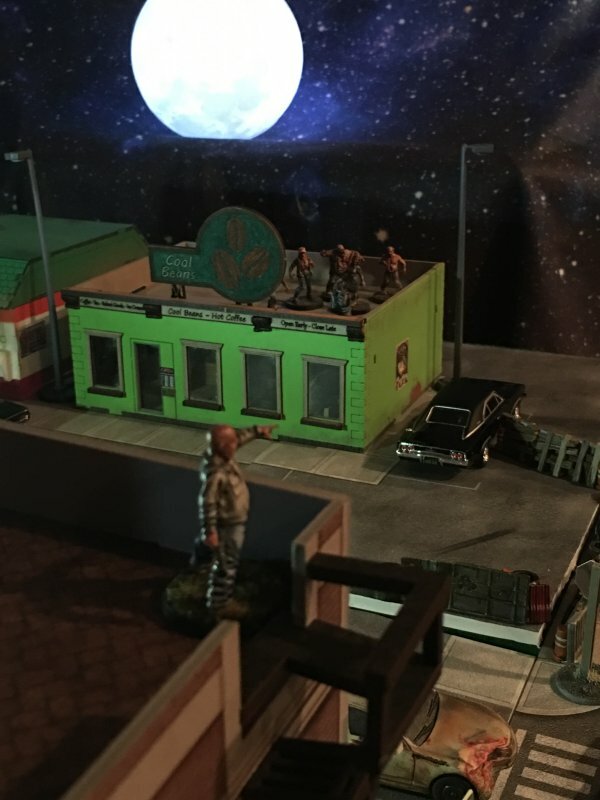 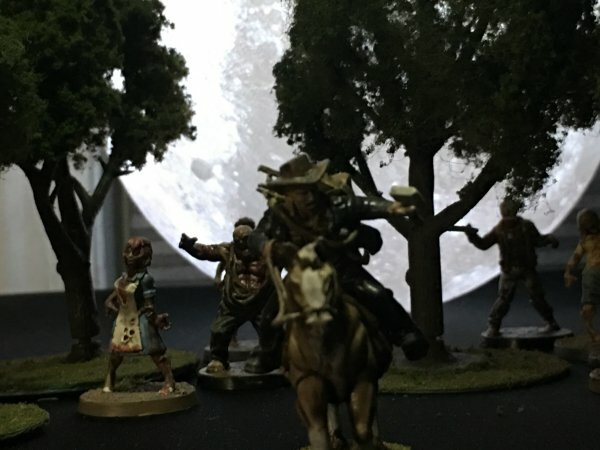 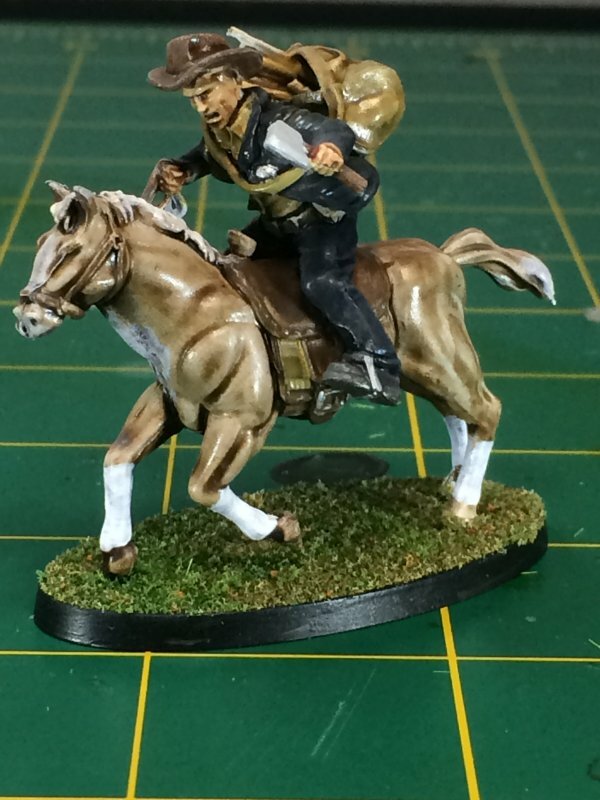 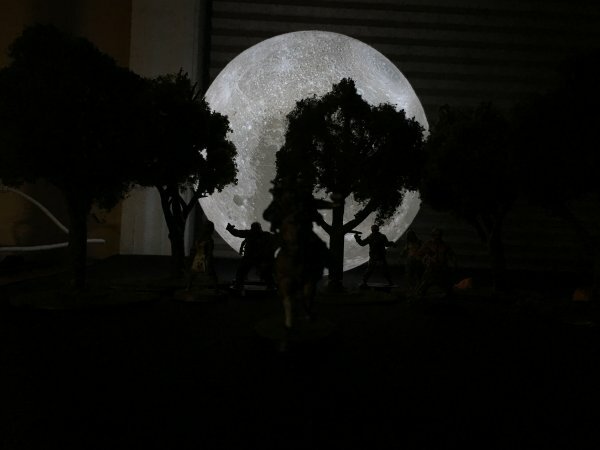 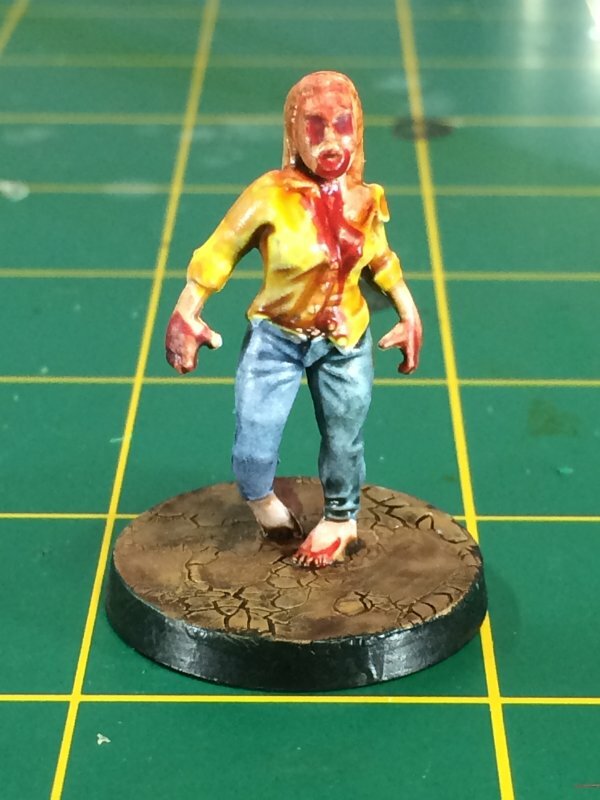 Since Walking Dead's Rick on a Horse only had 2 minis (Rick and horse are molded together on the base, so I count them as 1 + the zombie that came with them) I added in one of the Chronoscape minis to round out the batch. 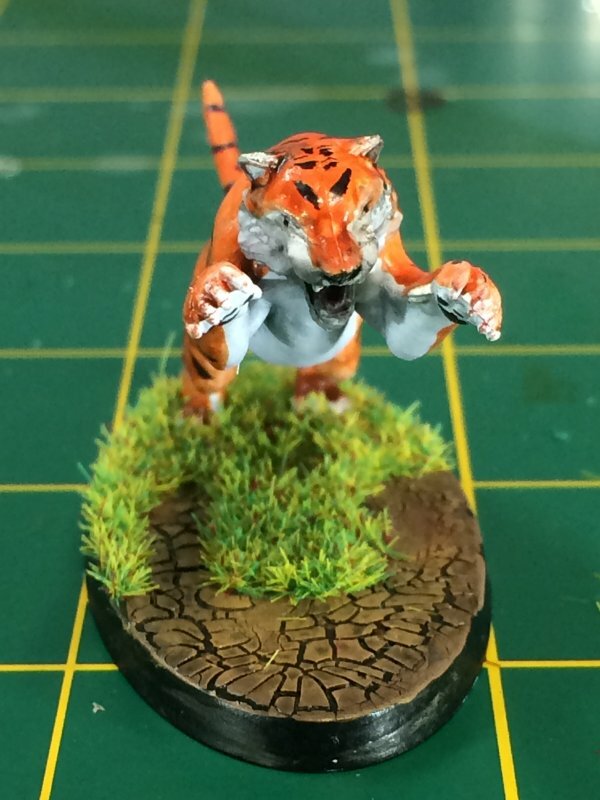 Thanks to Rick's Horse and Ezekial having a tiger, I painted my first animals that I can ever remember. 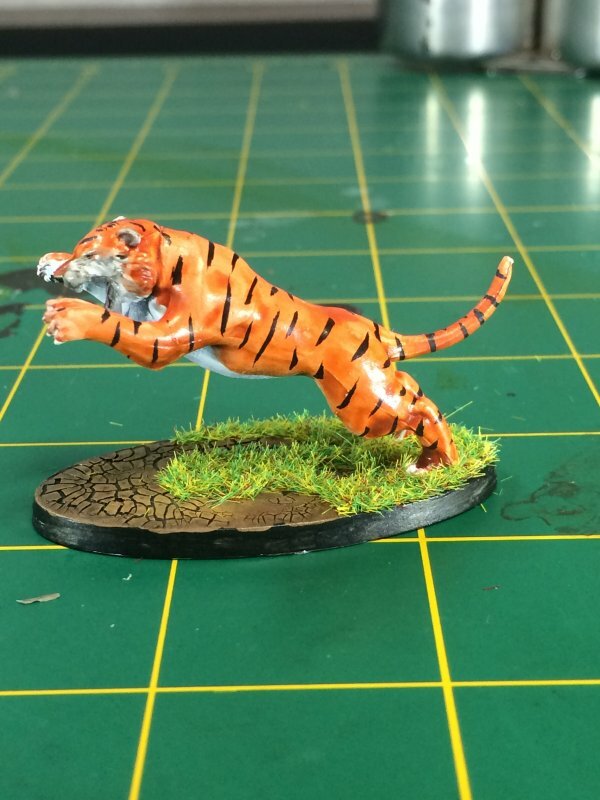 Appropriately, I'm not too sure how my paint schemes for those animals match anything realistic as I used plenty of reference painting pics and there was a pretty good range of detail in those. 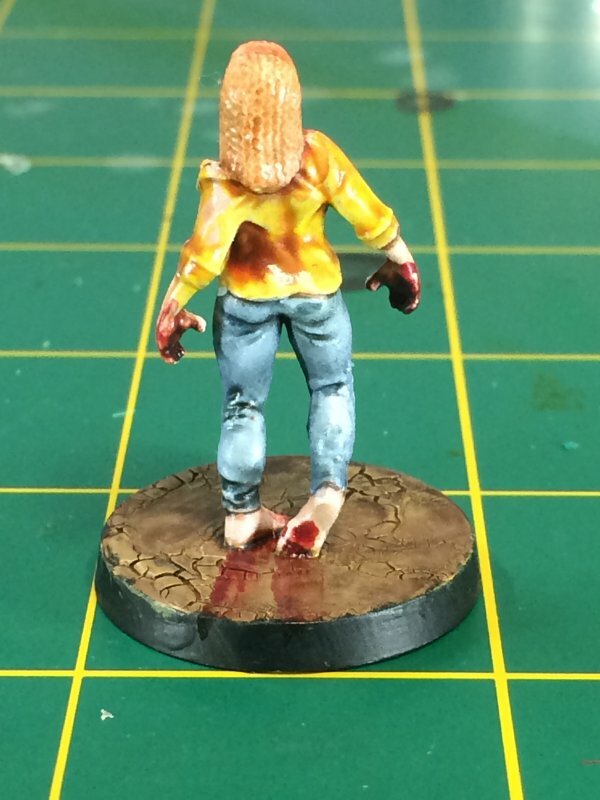 As it was, I tried stopping before I screwed things up too much. 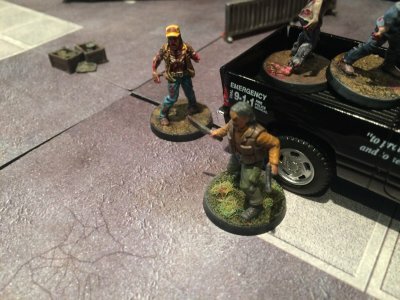 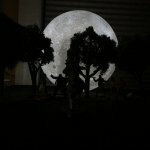 Things I learned this time. 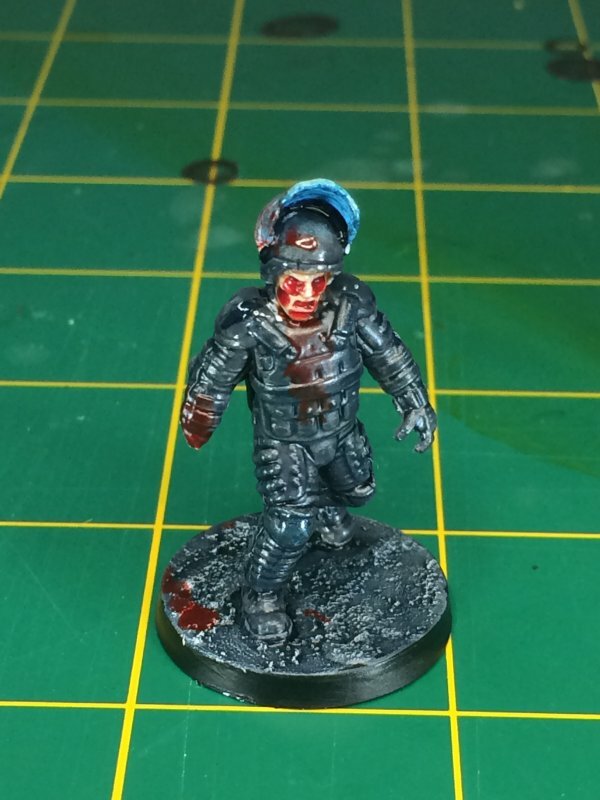 Don't try to use the very last of the primer in the spray can. 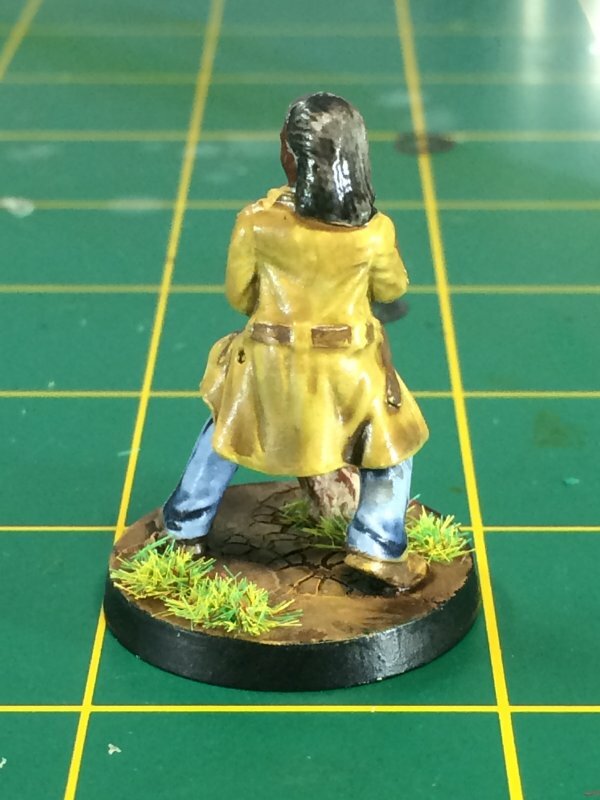 It comes out to wet and pools in the details of the sculpt. 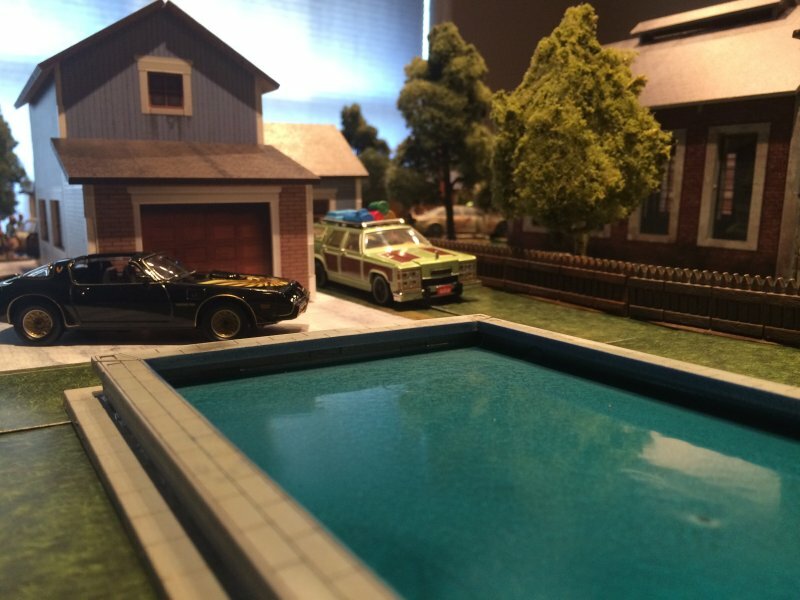 Light/bright green is not a good background for yellow decals. 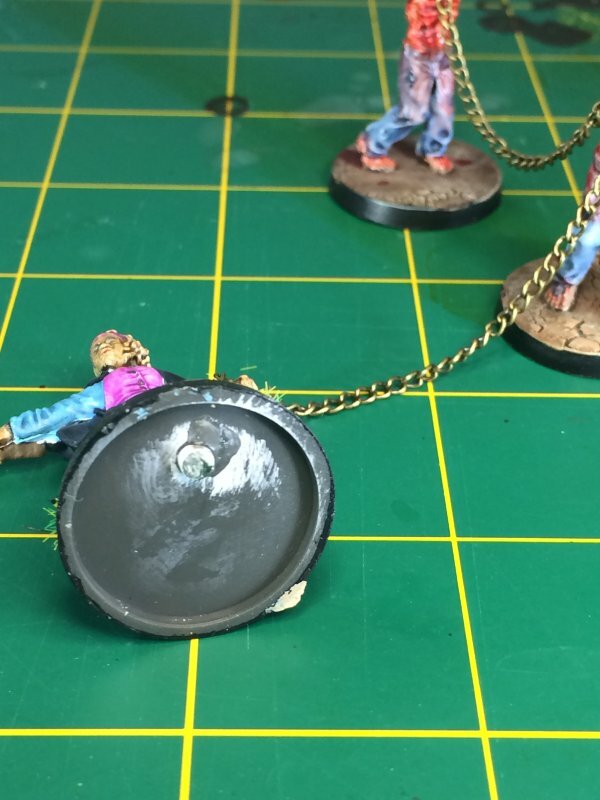 Now that I've typed that, I think I typed the exact same thing a couple of years ago when I was painting Dust minis. 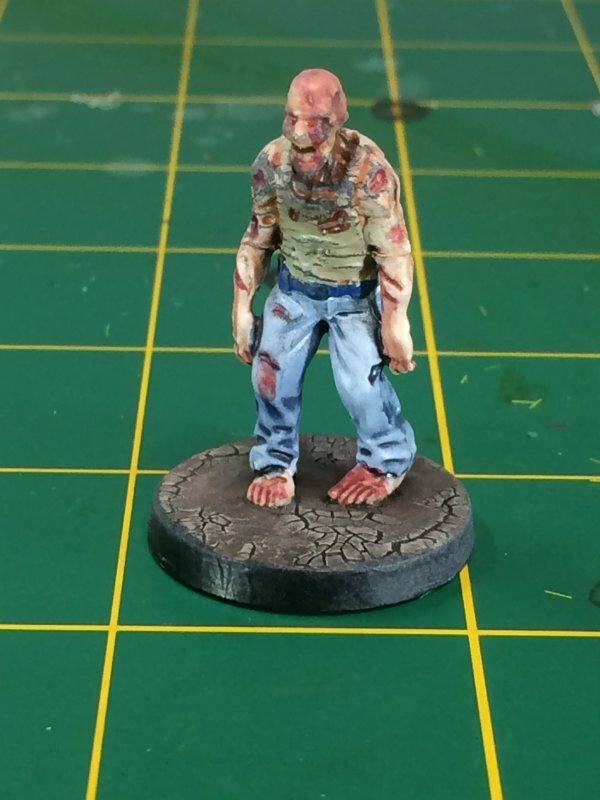 Washes are my friend. 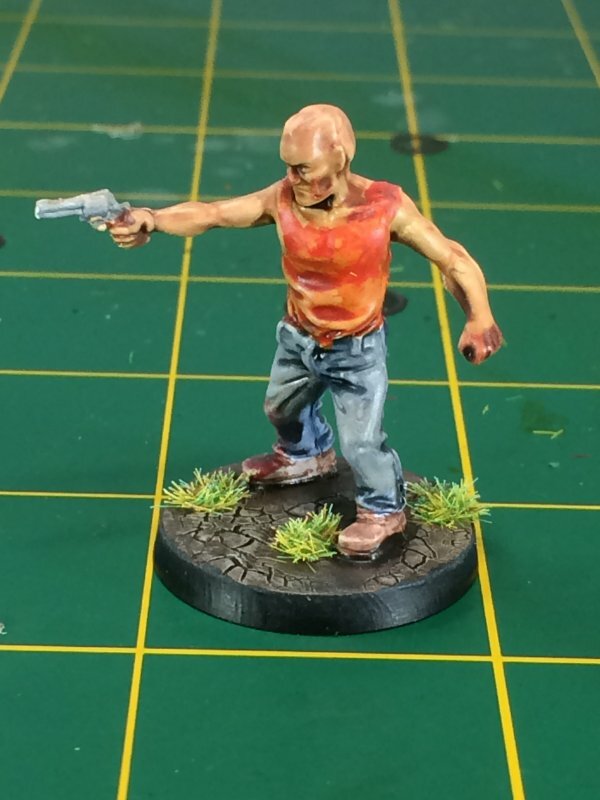 I still do best when I can apply a wash for clothing right on top of the white primer. 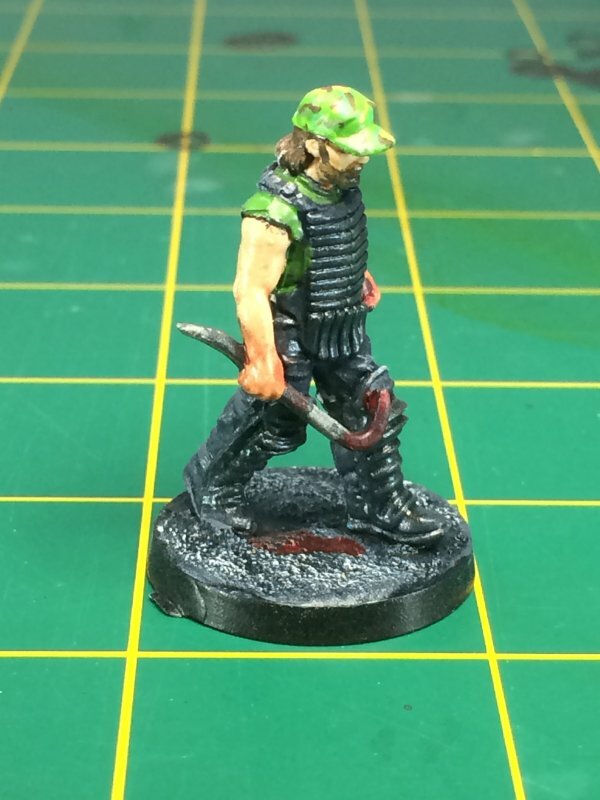 Don't use black for clothes. 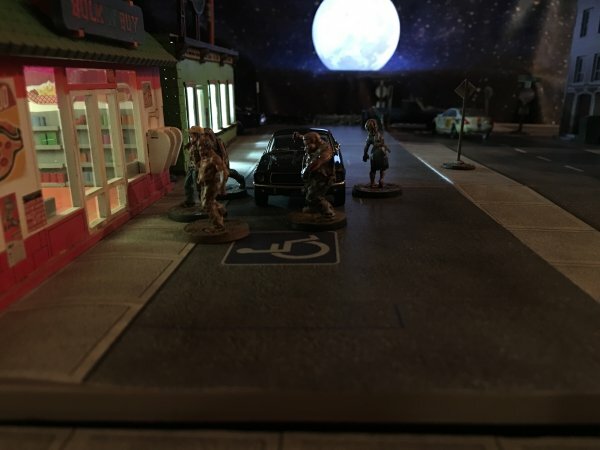 I've been paying attenting to some Batman Miniature Game painters, and instead of black they go with dark greys, blues, and even purples. 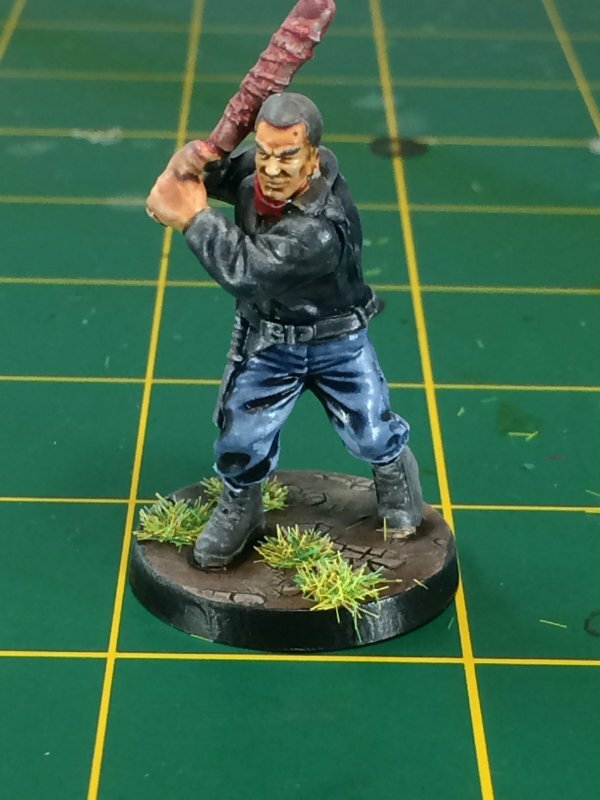 On Negan I used the darkest grey I had and then applied the blue wash that I seem to love. 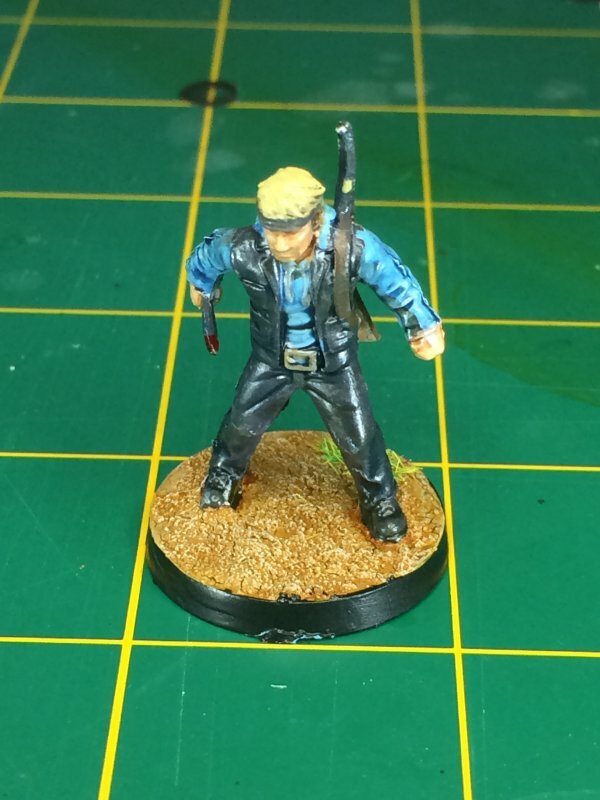 It looks black enough but still has highlights and details. 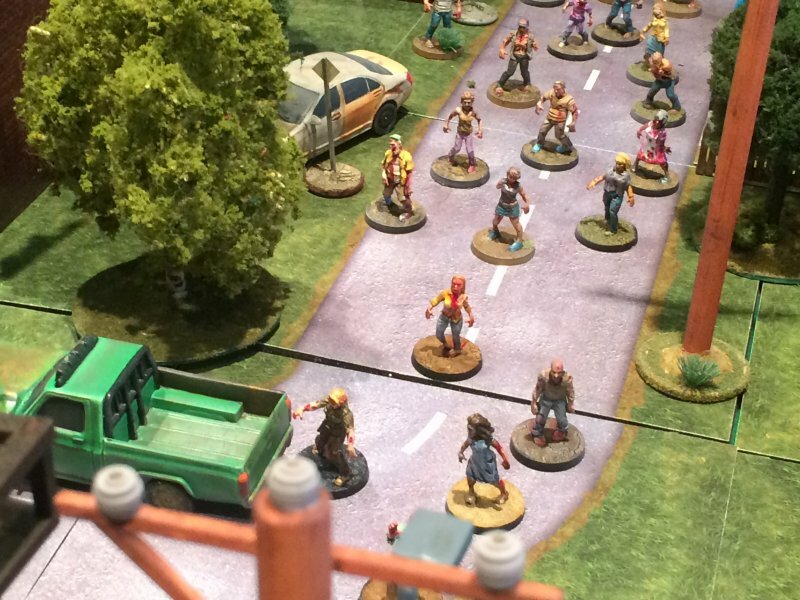 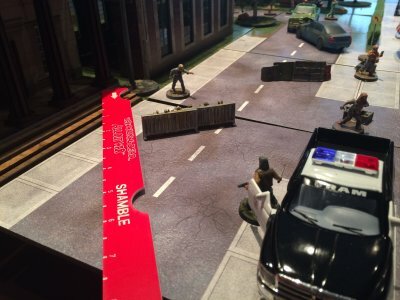 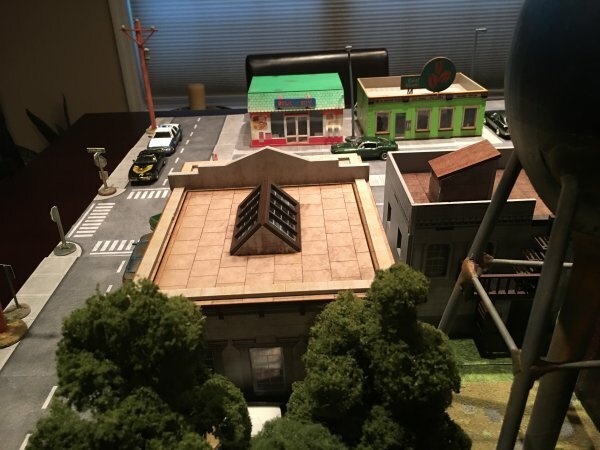 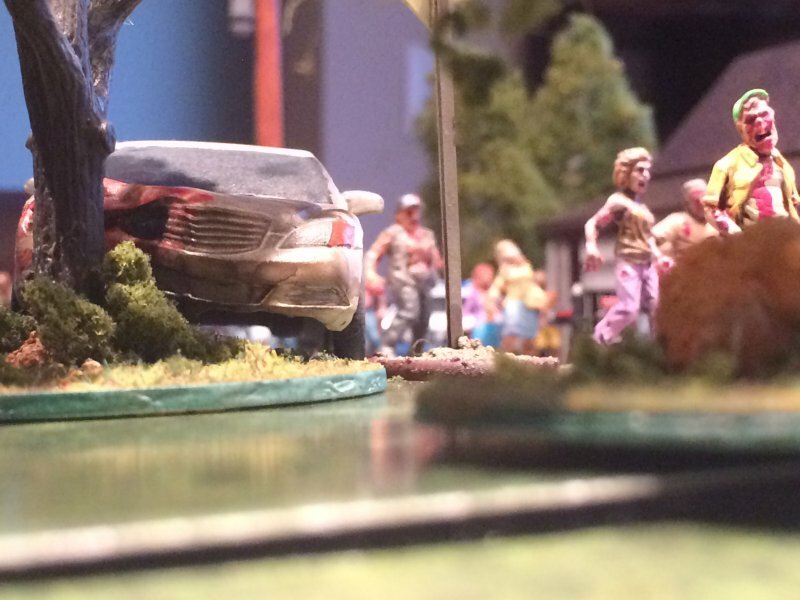 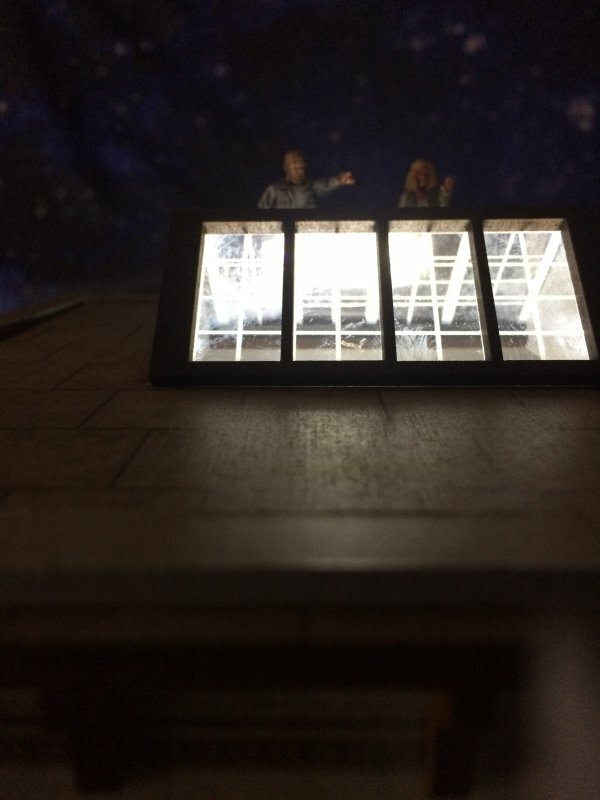 Ever so close to wrapping up the Walking Dead stuff. 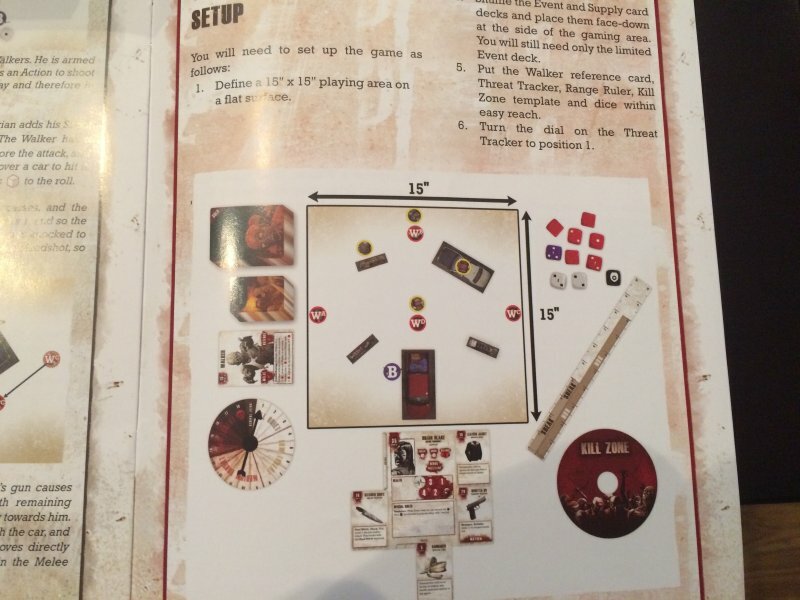 18 of the remaining 24 are the 3 big rules expansions. 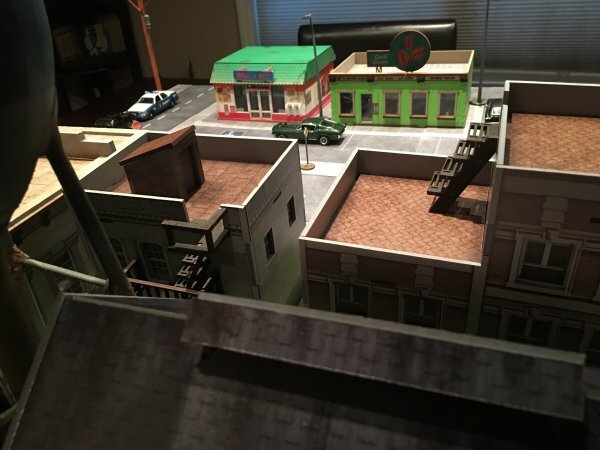 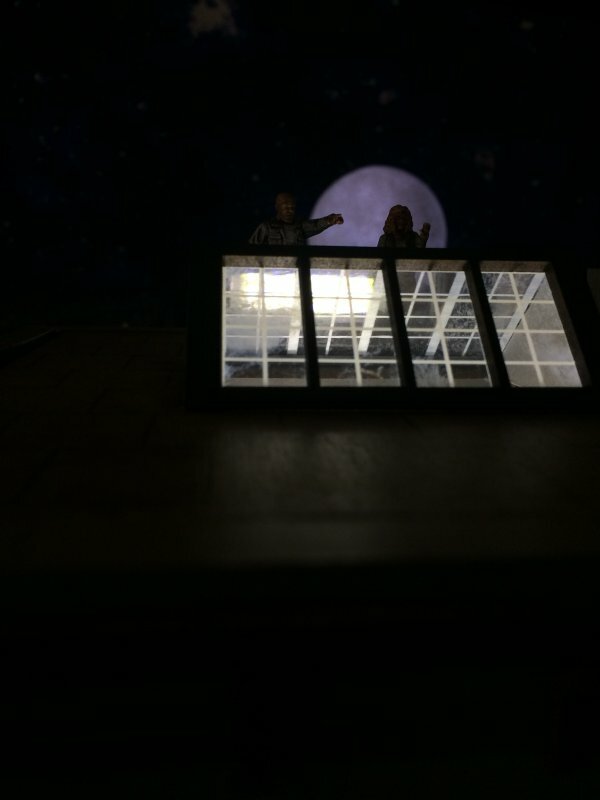 Once all of those are done, if I can get them painted before the next wave of minis is released, I'm going to return to the MDF buildings and try a test to see if I can print exterior details for the commercial buildings like I did for the interior of the last house. 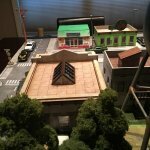 This will help make up for my MDF-painting limitations, plus with the help of Paint Shop Pro I could really get in some details that I wouldn't be able to properly paint. 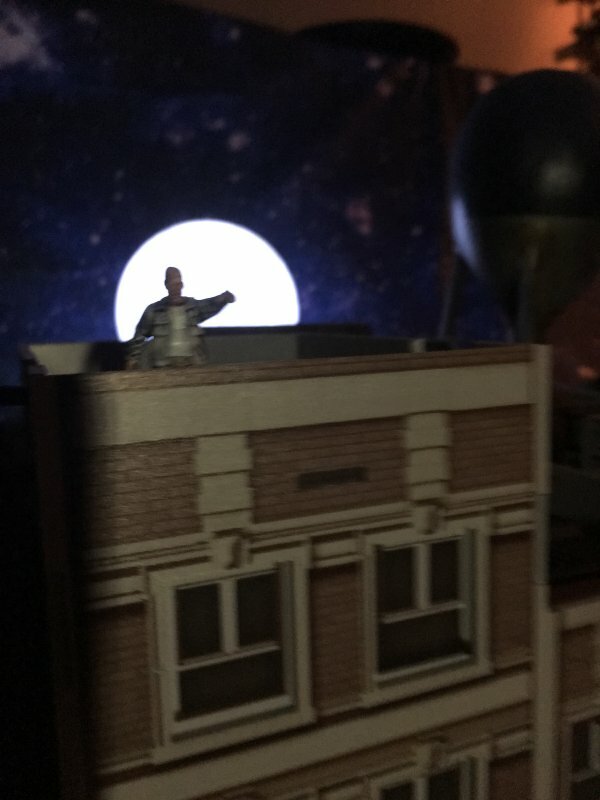 But that's all for another time.